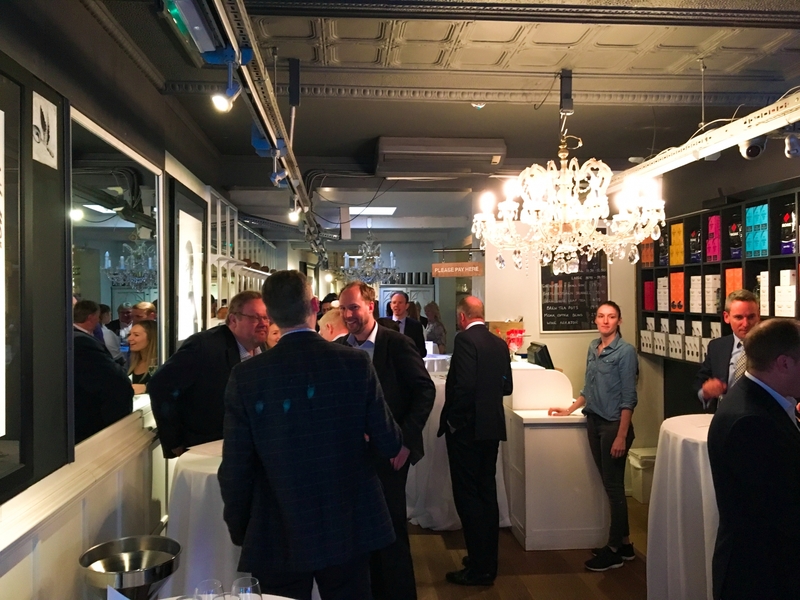 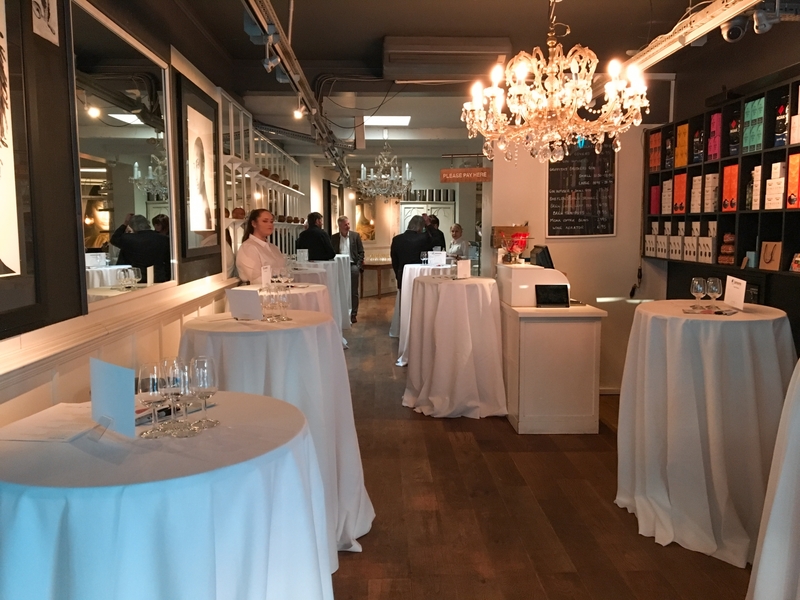 Wednesday 10th April saw another successful evening at Jansons Property’s annual wine tasting event. 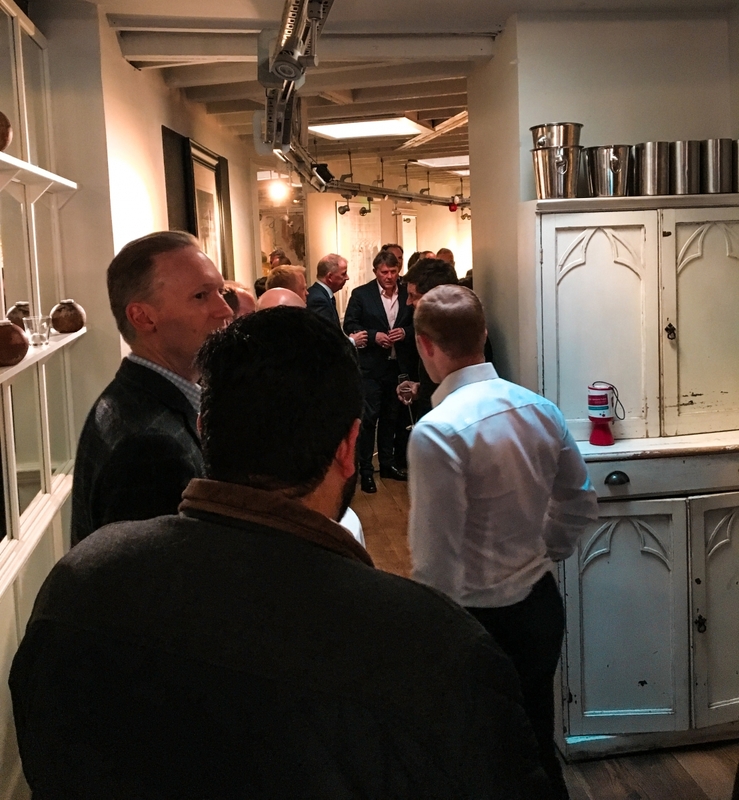 Not only was it an opportunity to enjoy some beverages with like-minded people, but it was also a chance to network and make a charitable contribution. 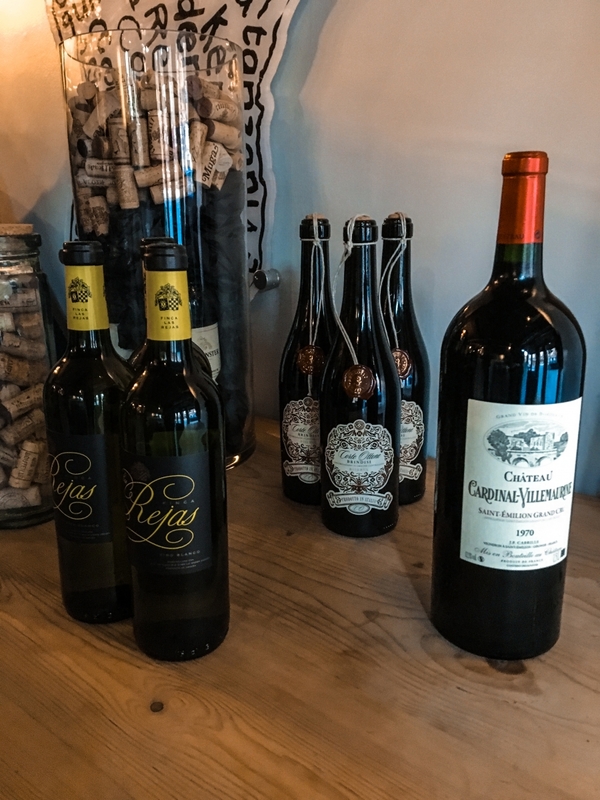 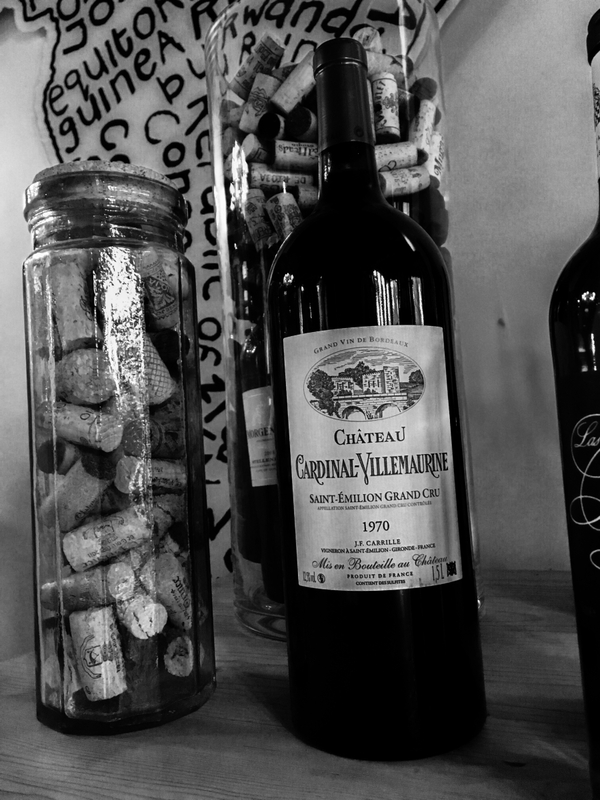 The atmosphere was indeed as good as the eclectic selection of wines we were indulging in. 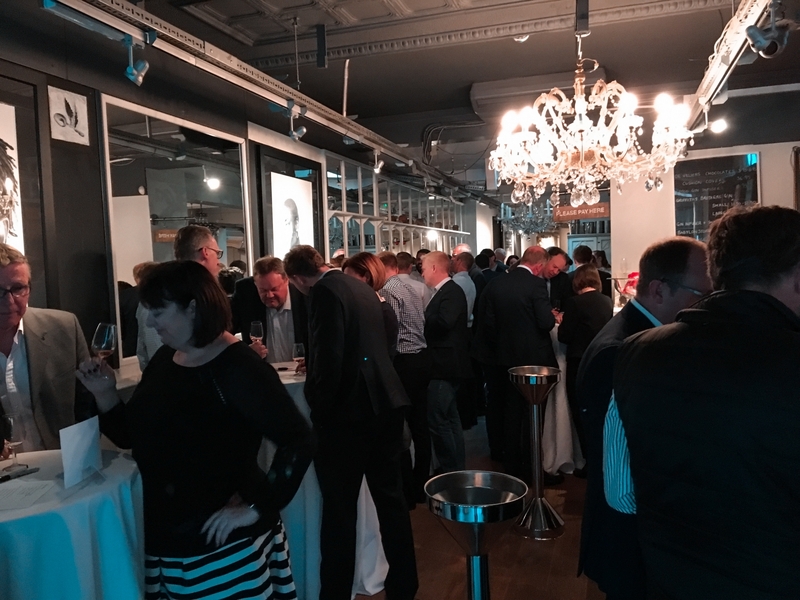 Who knew a room full of people plus a lot of wine equalled so much fun! 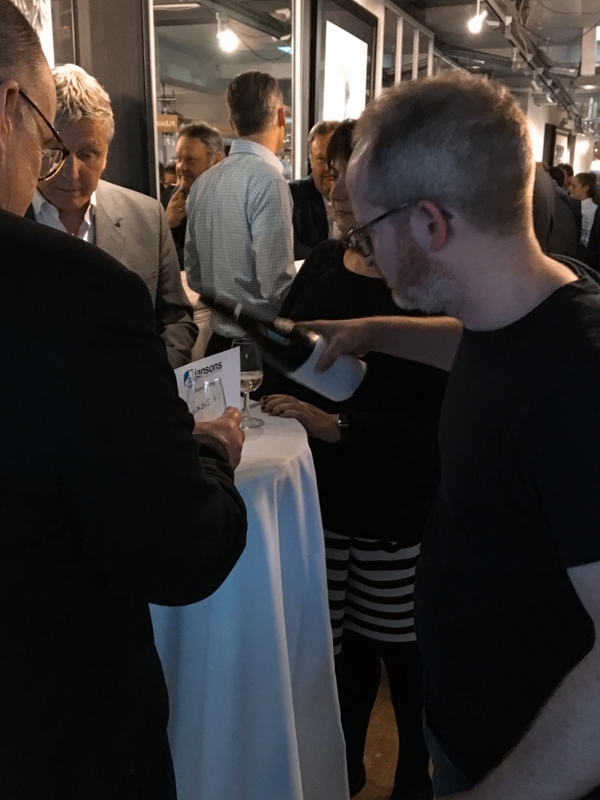 The evening began with some introductions by Laithwaites who were responsible for our healthy supply of bubbly, this served as a much-needed come down from the stresses of work. 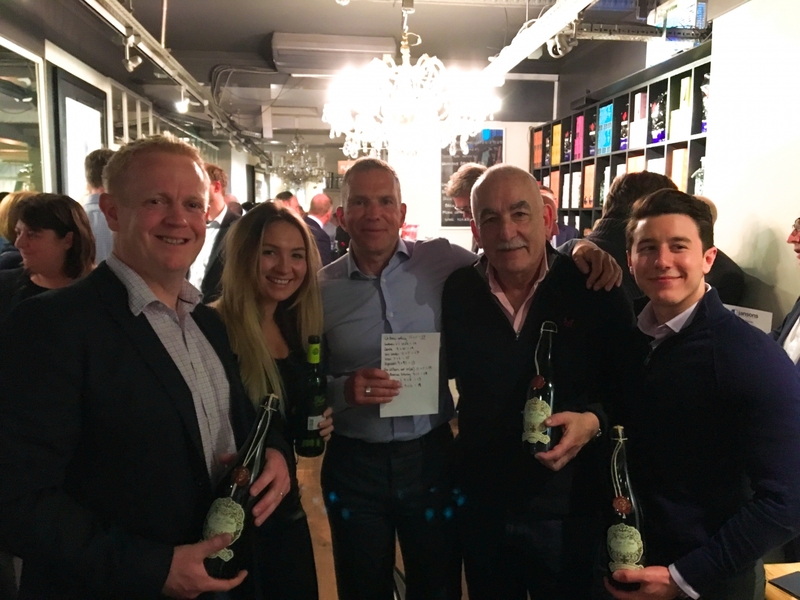 The first course of action was, of course, splitting our forty-something guests into teams to then compete in a wine tasting quiz. 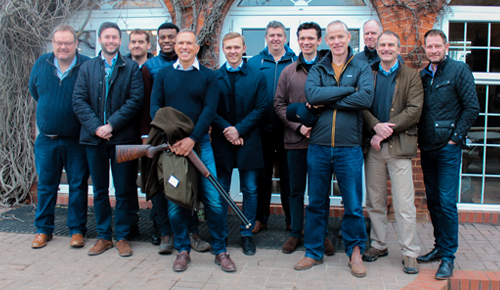 This lead to the creation of ten masterfully named teams, each brimming with confidence, charisma and a regularly topped up glass of you know what. 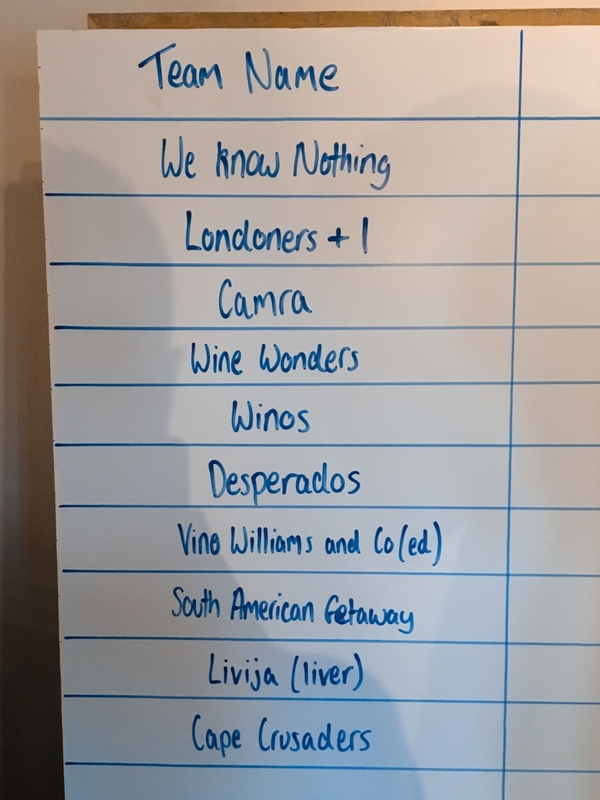 The team names struck shear fear into the hearts of their respective competitors, the likes of “We Know Nothing”, Londoners, Camera, Wine Wonders, Winos, Desperado’s, Vino Williams & Co, South American Getaway, Livija (Liver) and finally Cape Crusaders. 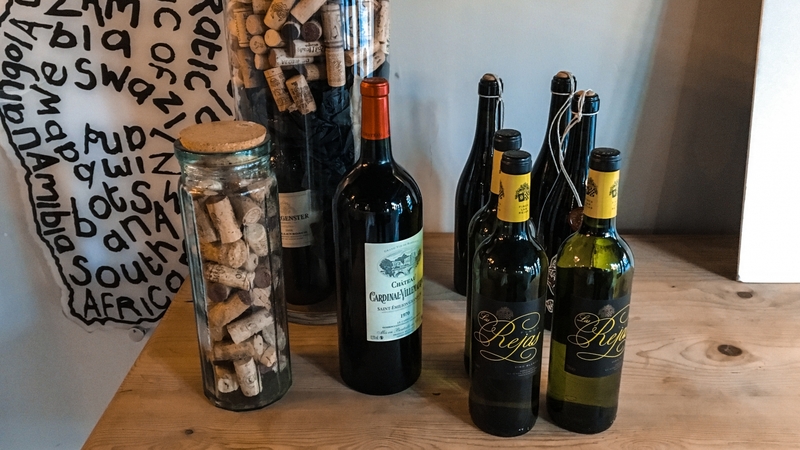 The wine tasting then commenced with one rosè and three whites followed by a break for some food while the scores were being written up. The high spirits really set the tone of the rest of the evening with some well-deserved kudos going to the The Cape, Beaconsfield. 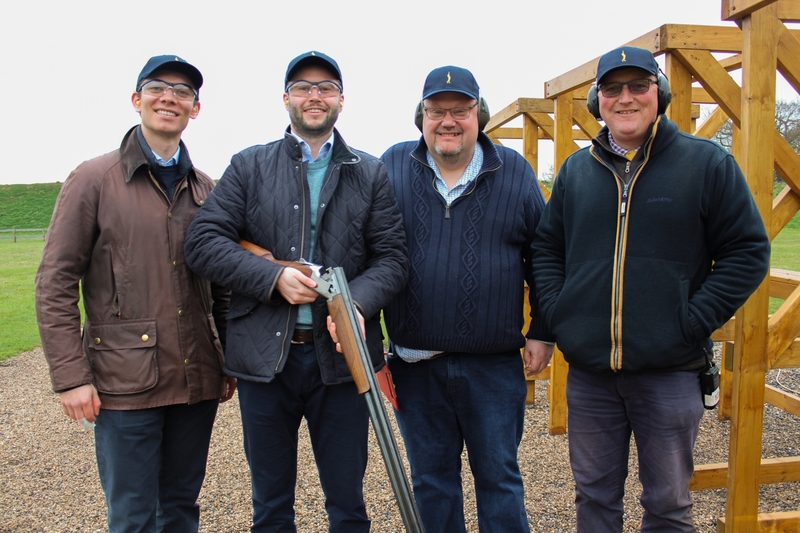 The second half of the evening commenced shortly after the break, a charity round on behalf of the Alexander Jansons Fund (A J Fund). 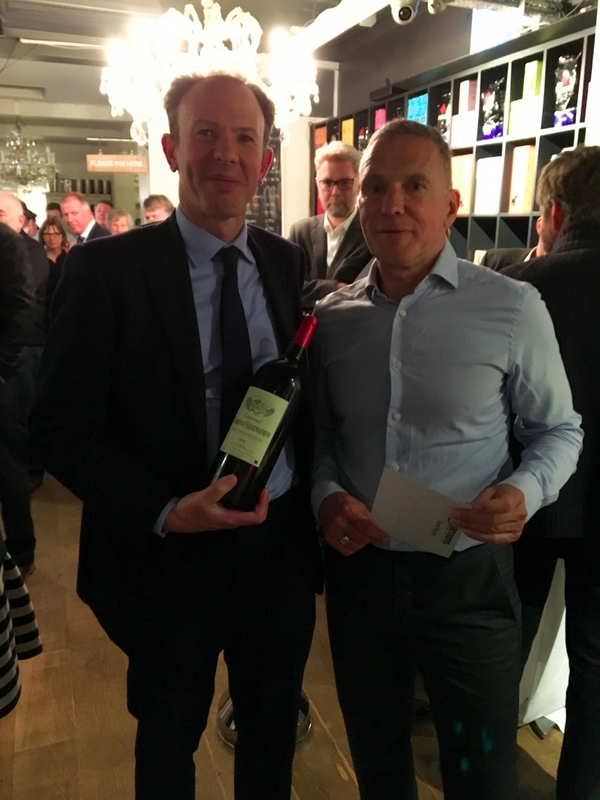 Our Managing Director, Andy Jansons introduced the AJ Fund, while Laithwaites went on to provide a description of the Magnum of wine that could be won as first prize. 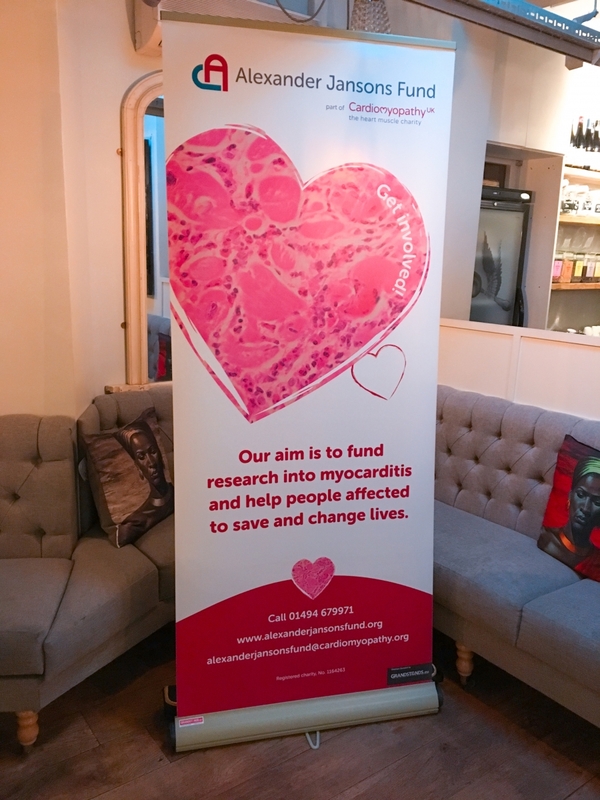 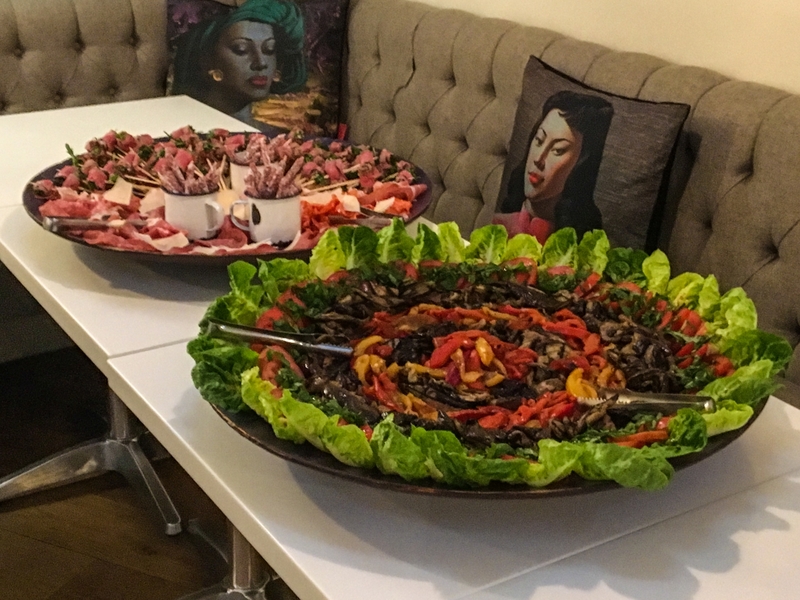 During the charity round, a grand total of £540.00 was donated by our generous guests, a heartwarming interval before the final round of wine tasting. 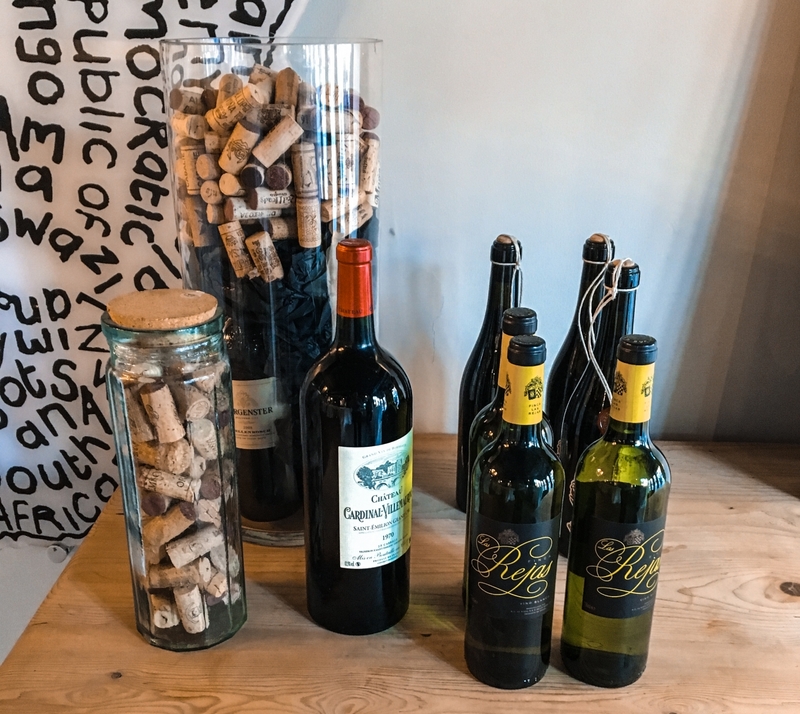 This time the challenge was four quaffable red wines, by the start of the final round of wine tasting the evening had already reached its cruising altitude. 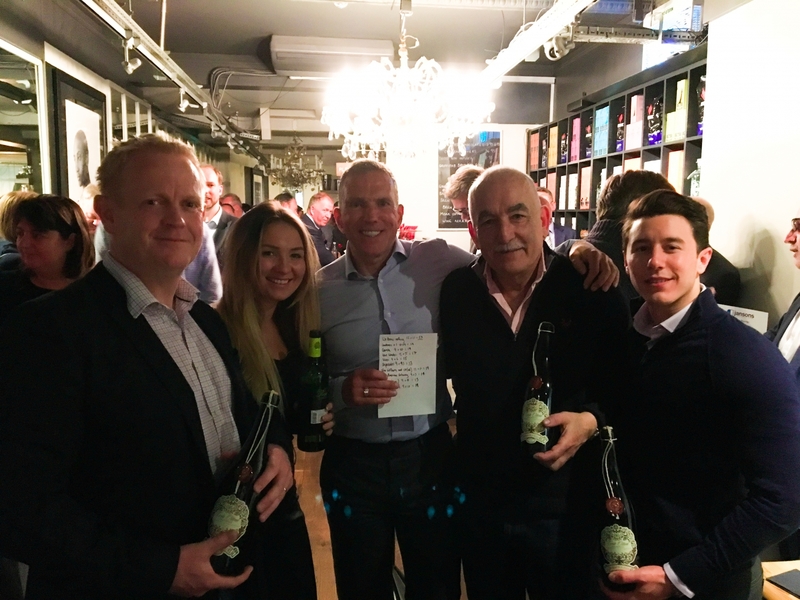 Finally “We Know Nothing” proved their team name was the bluff that fooled everyone as they won the wine tasting quiz with 23 points. 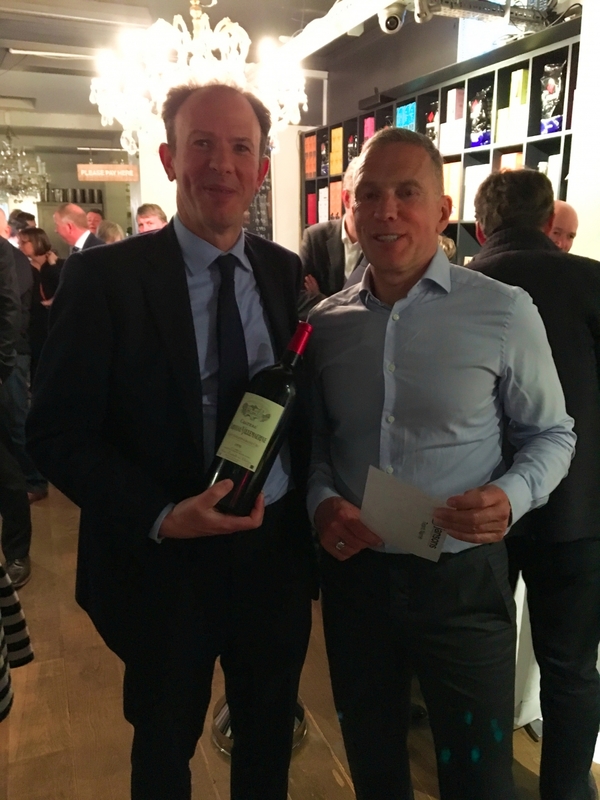 The winners’ of the charity round were Duncan Maclaren (first place) who guessed the £80.00 price of a 1970 Cardinal-Villemauin (magnum). 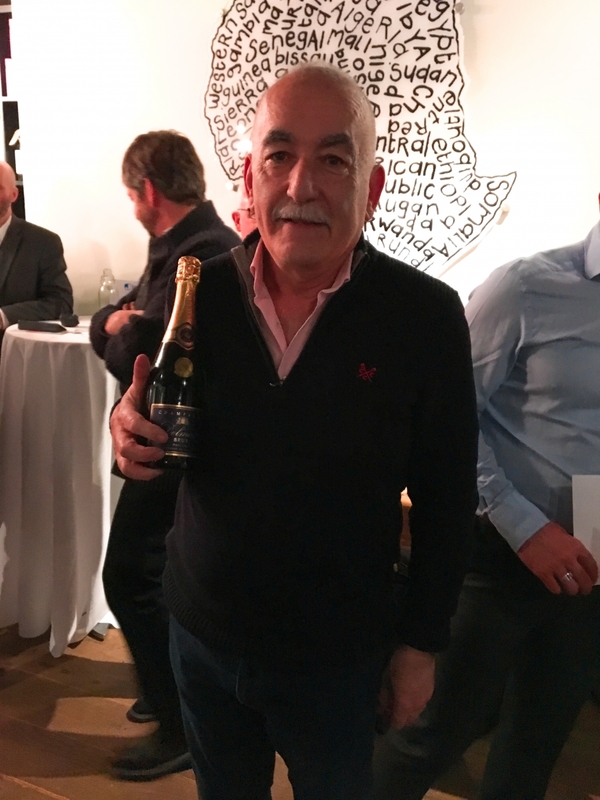 Roger Saper was the runner up who guessed second closest price with £88.00. 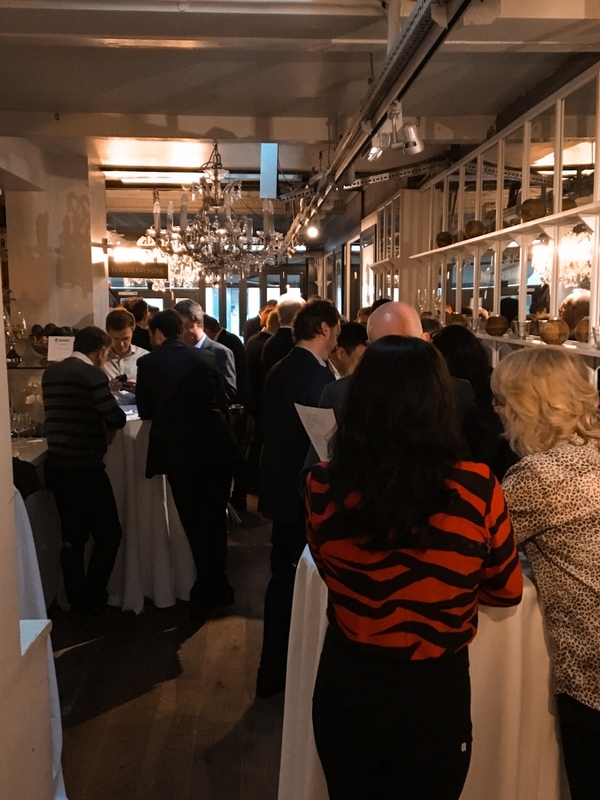 The evening came to an end following the announcement of the winners leaving guests still in high spirits and anticipating the next Jansons event! 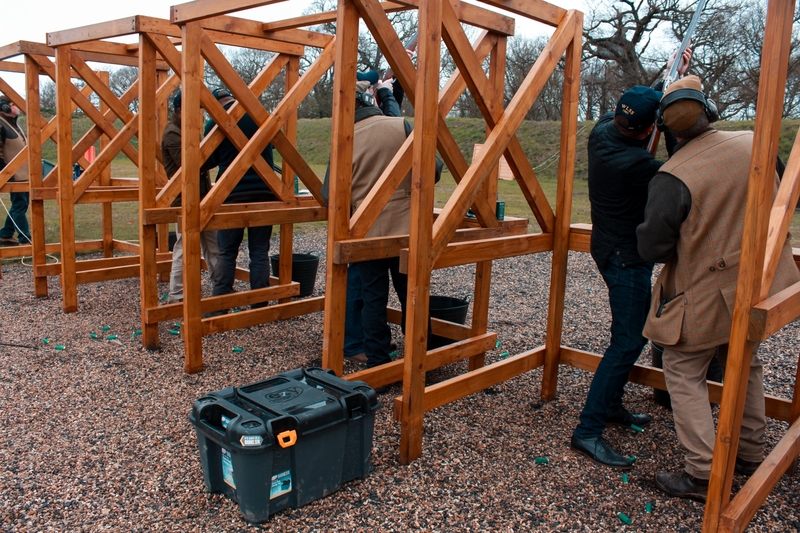 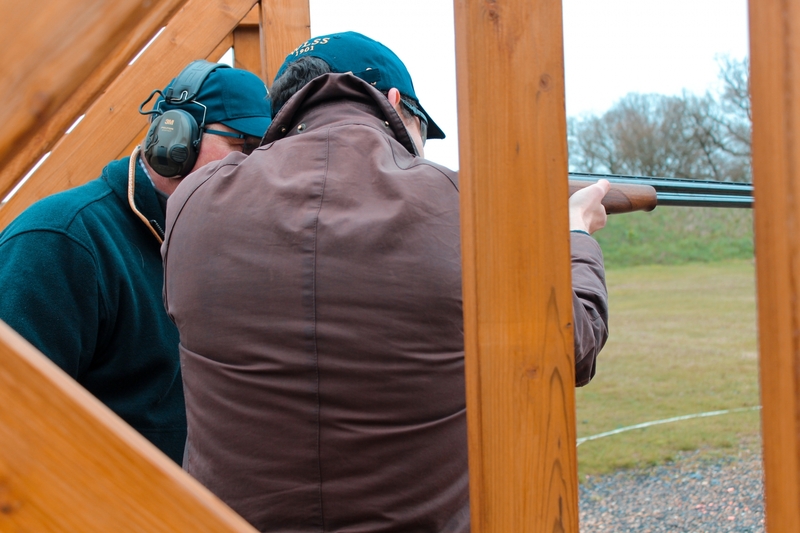 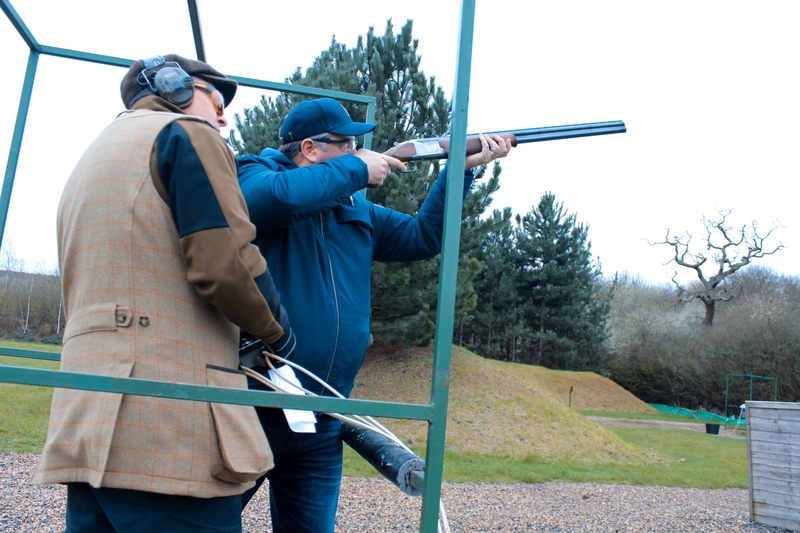 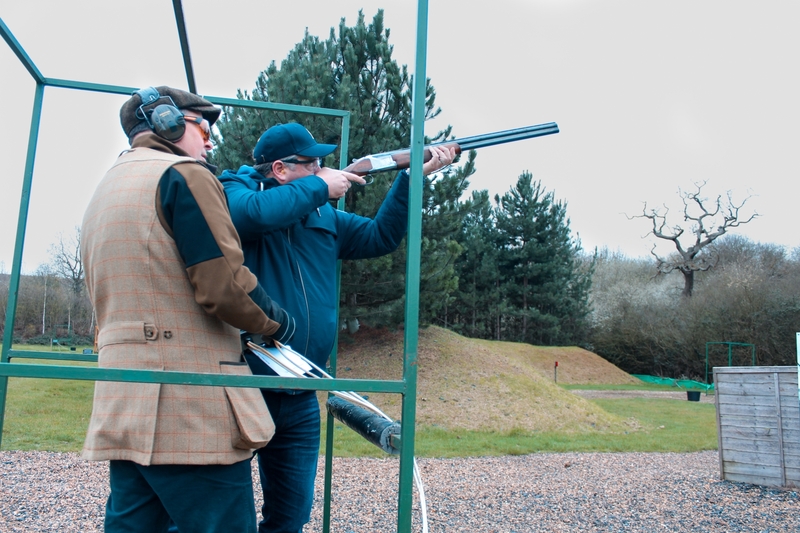 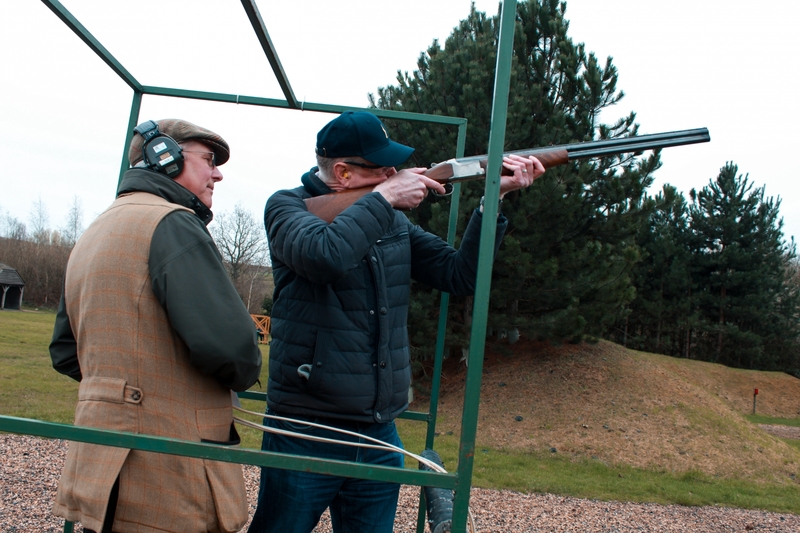 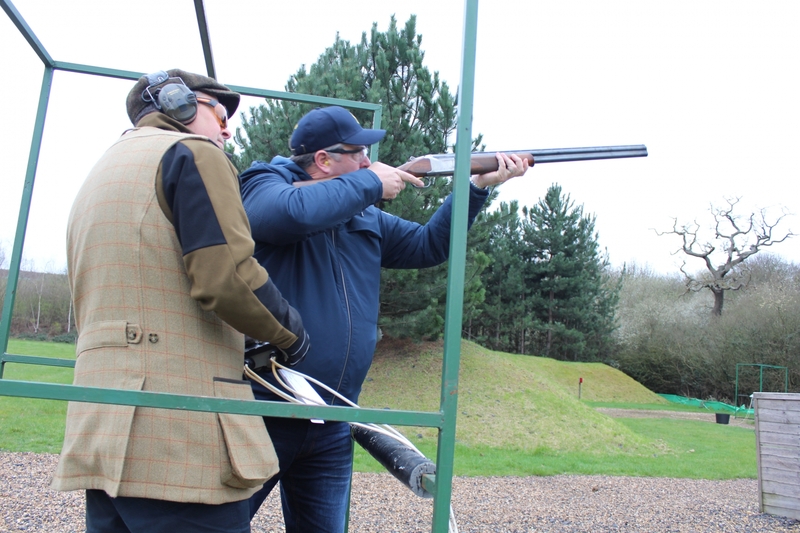 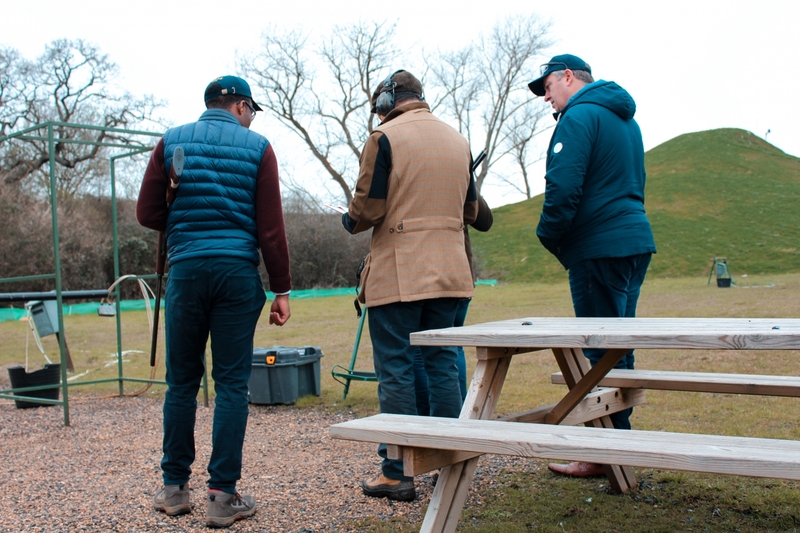 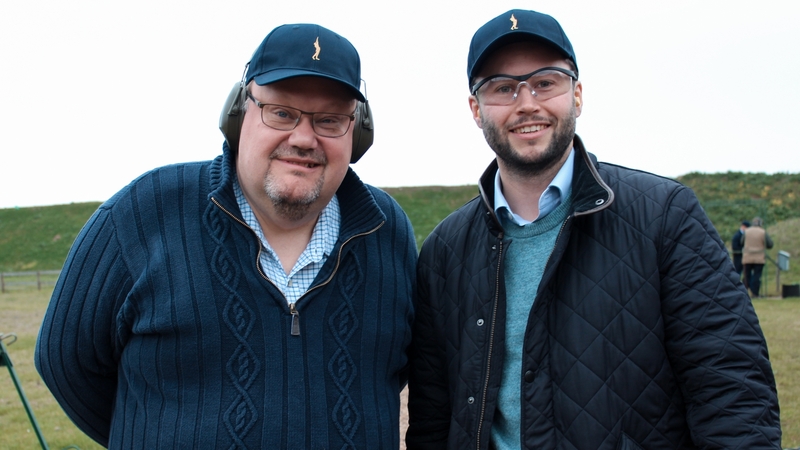 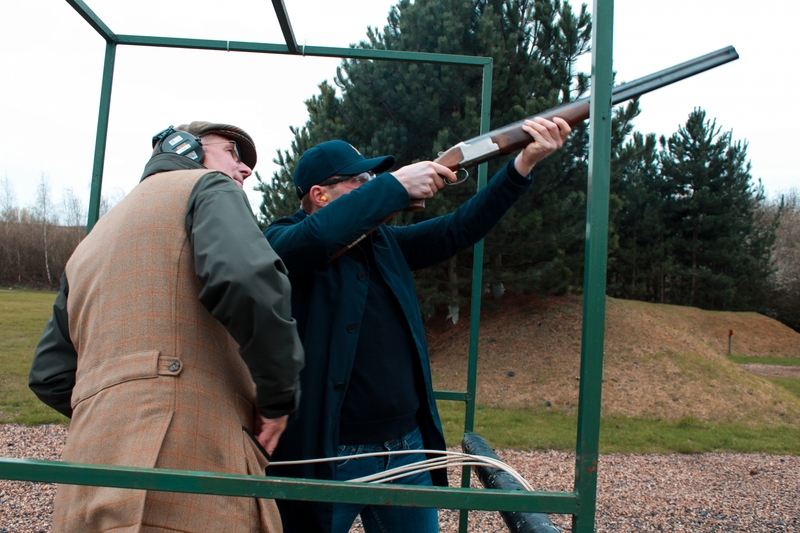 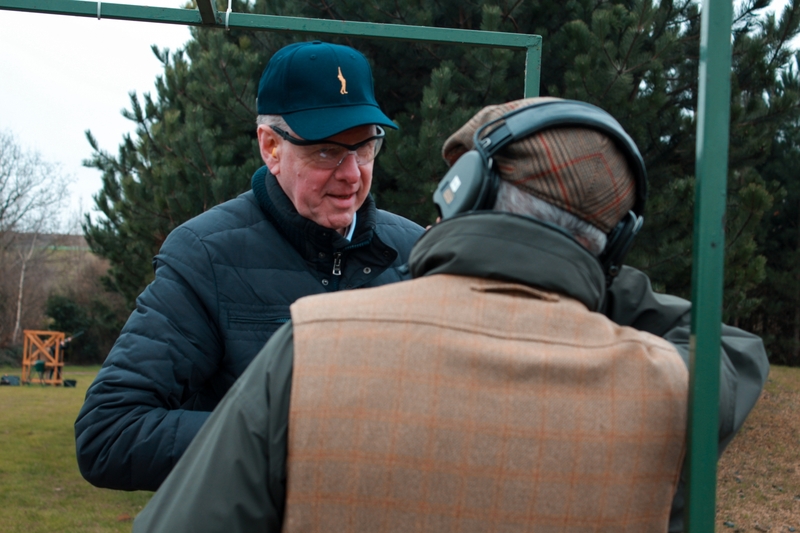 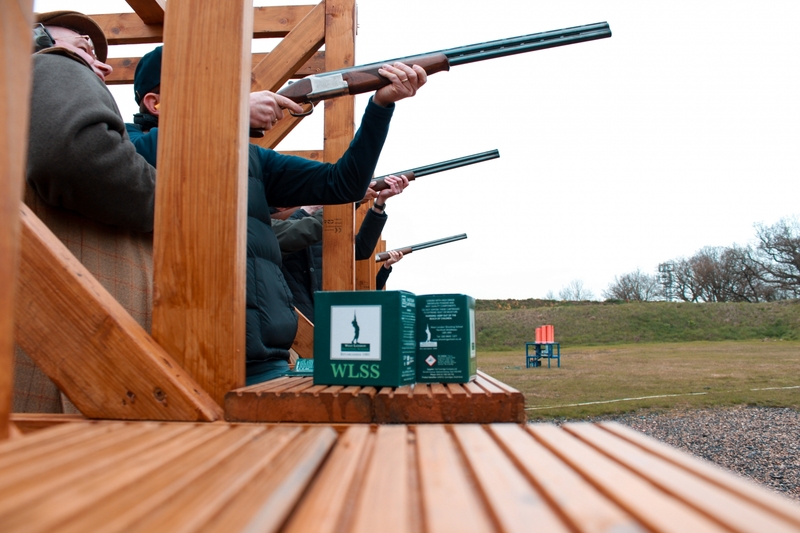 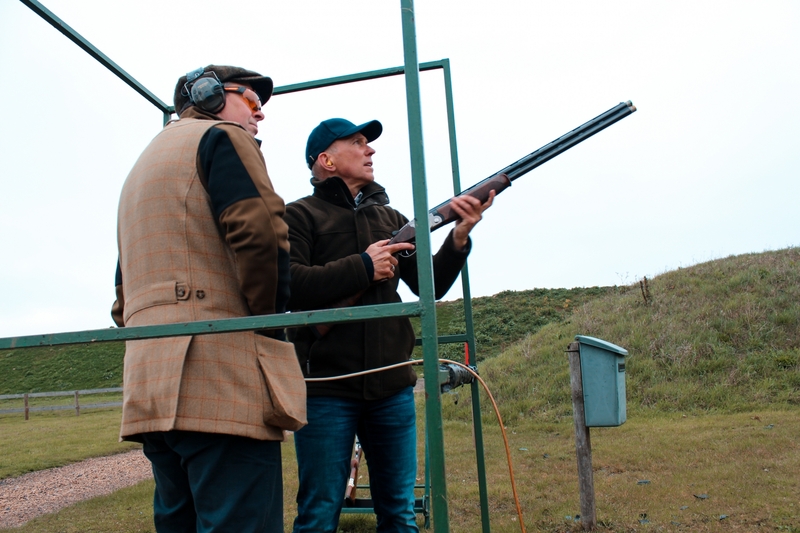 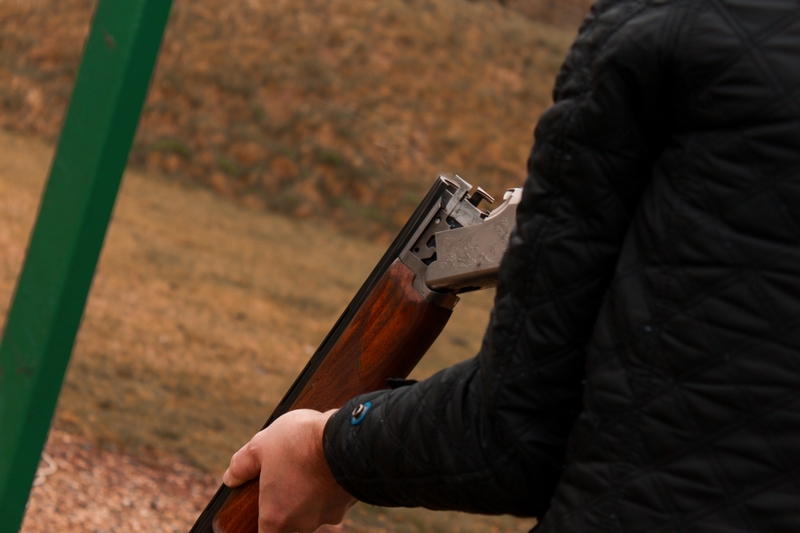 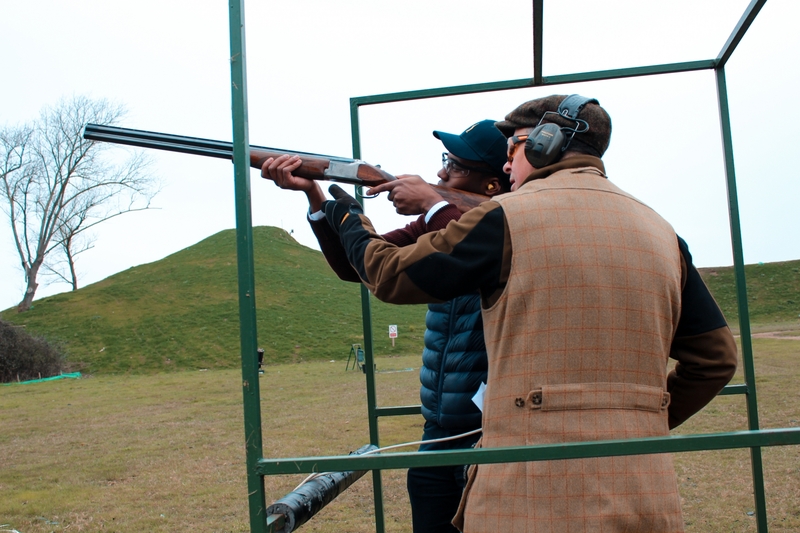 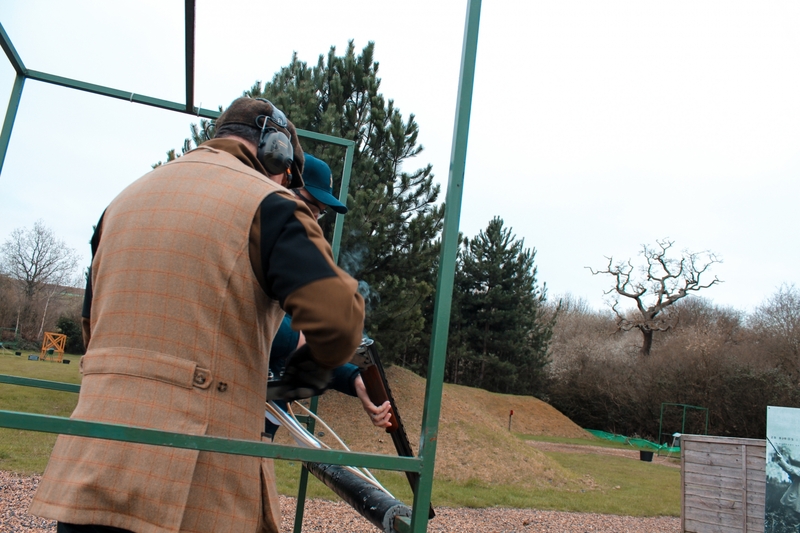 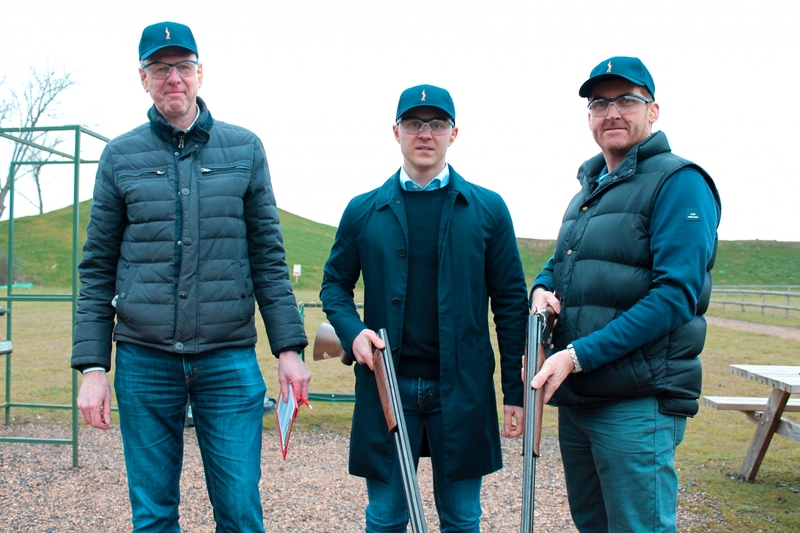 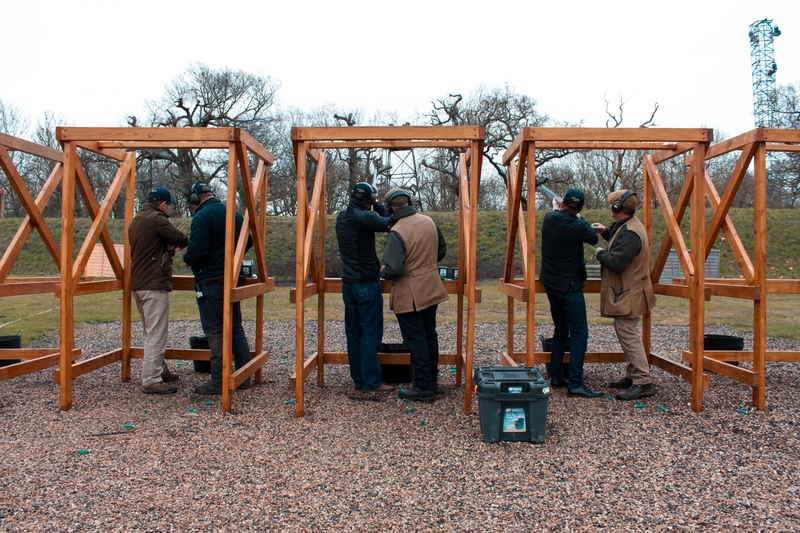 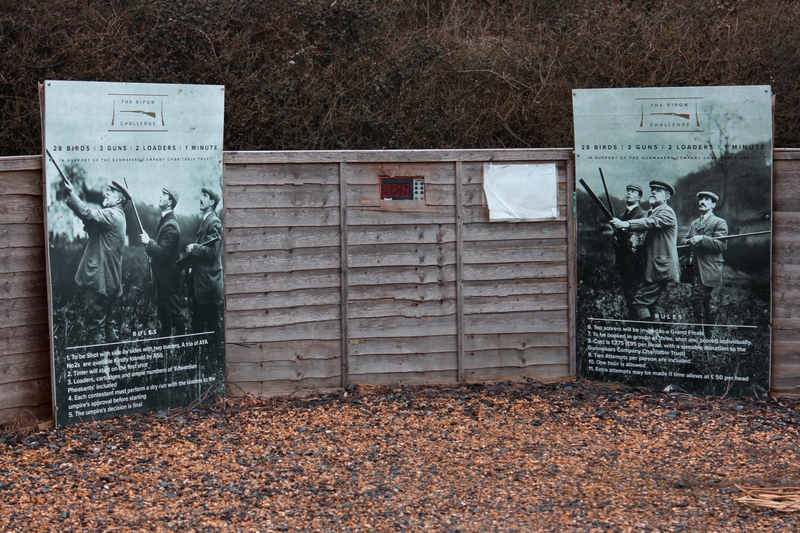 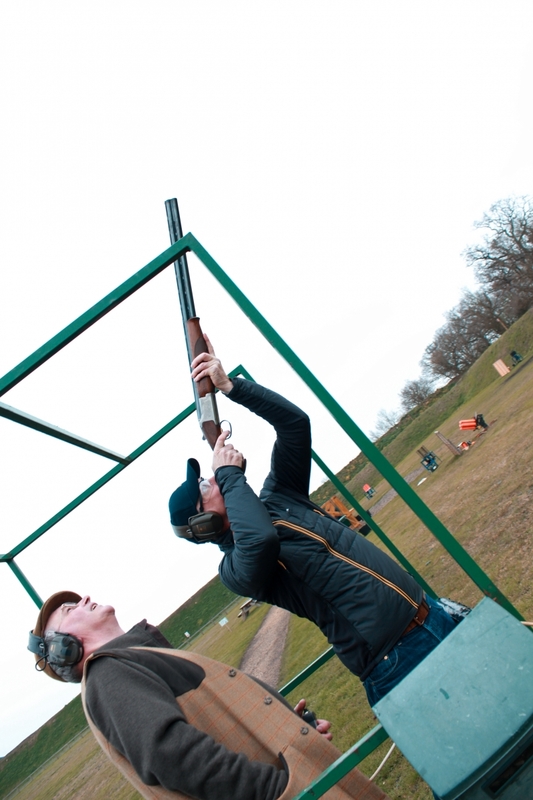 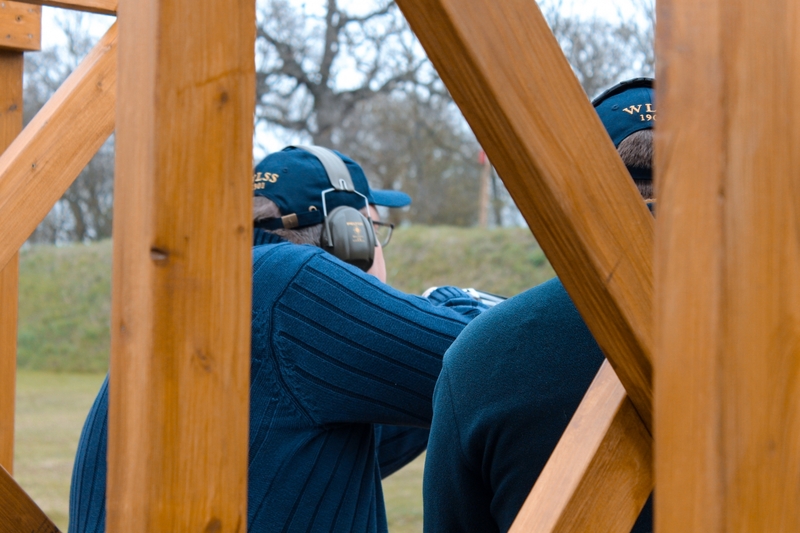 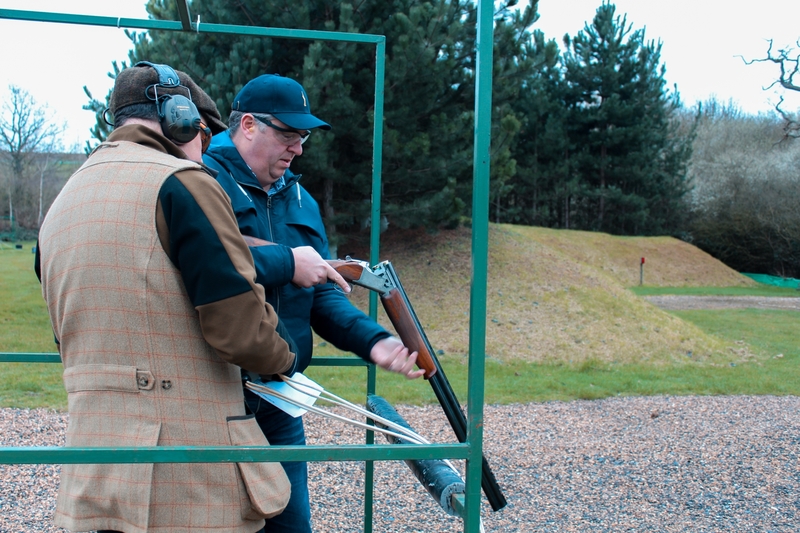 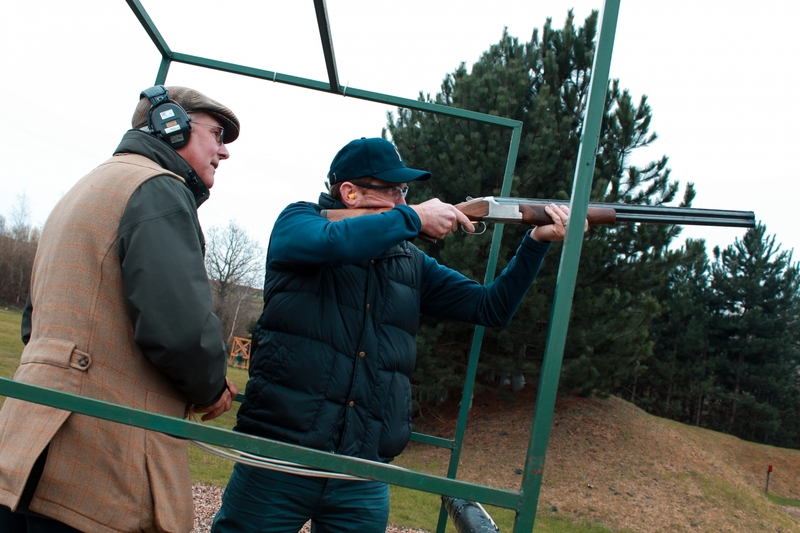 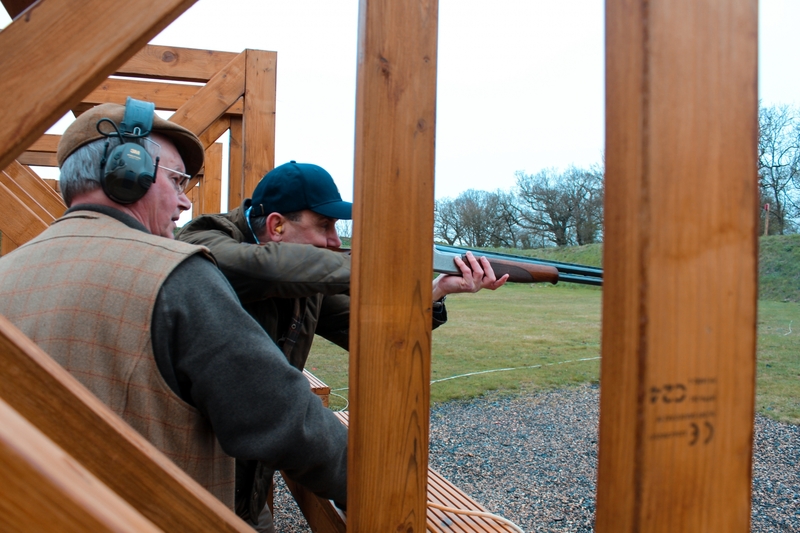 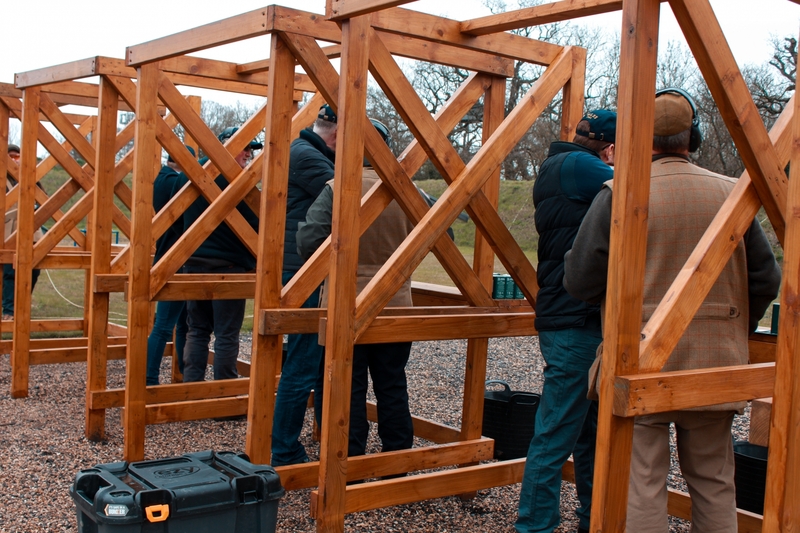 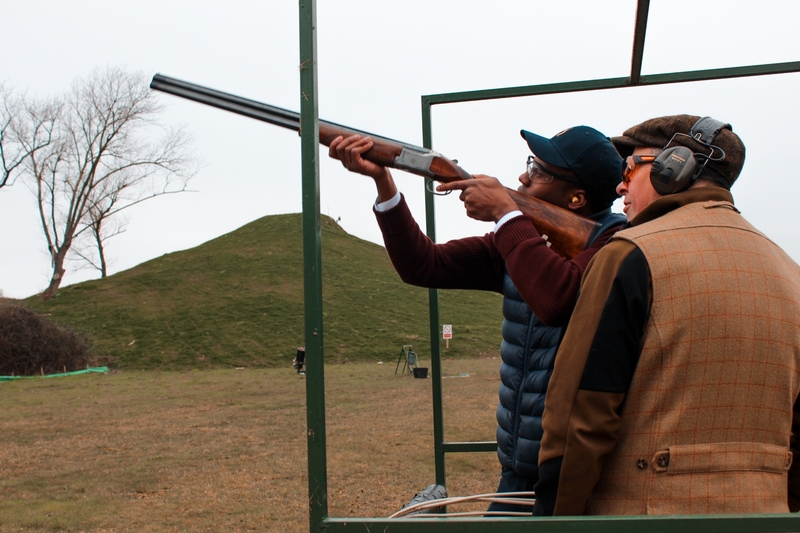 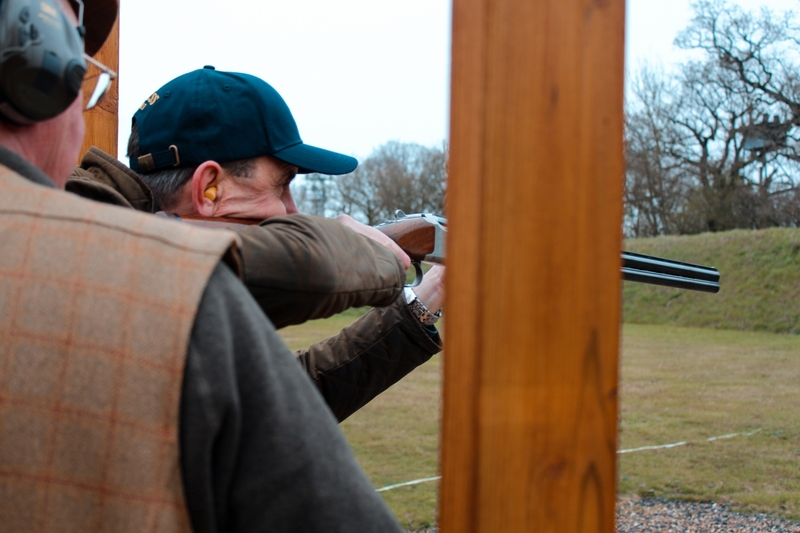 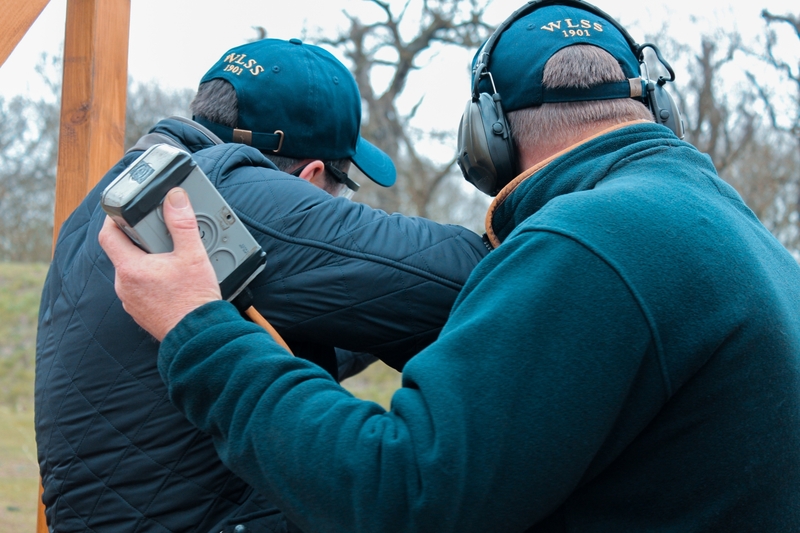 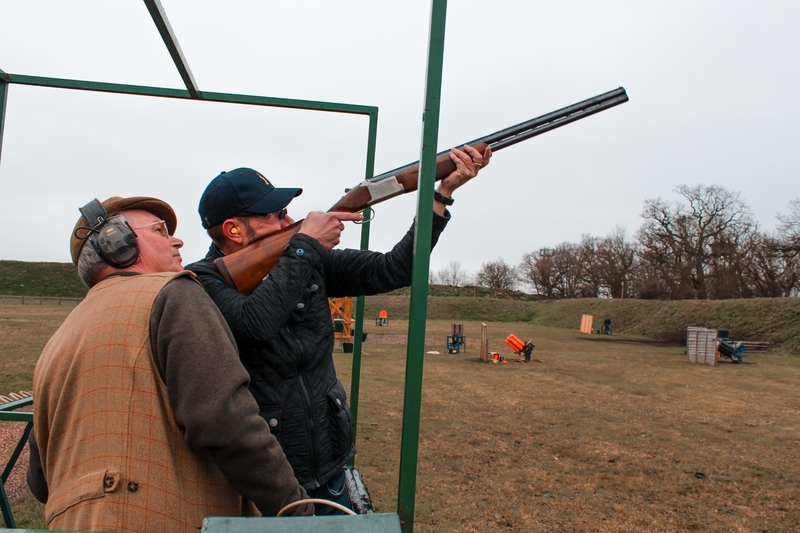 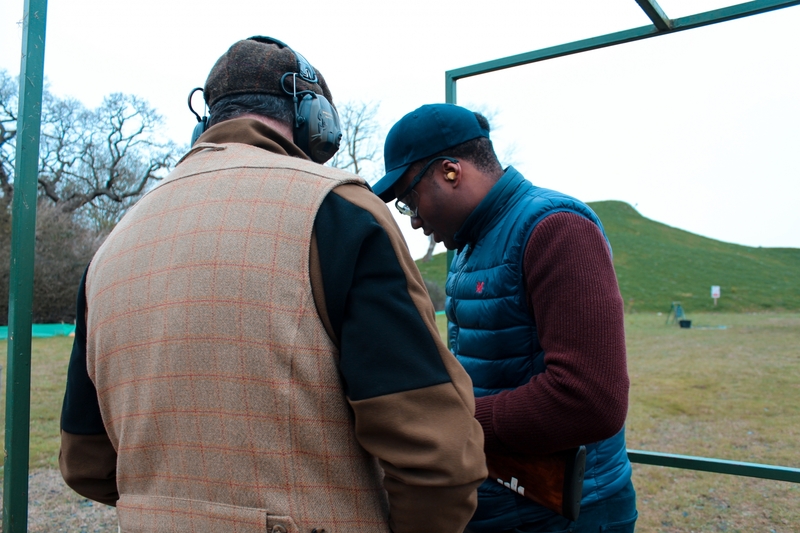 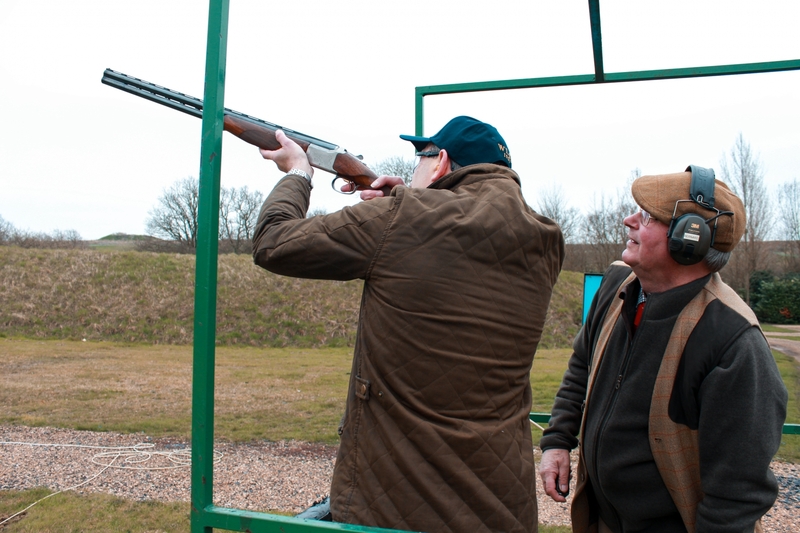 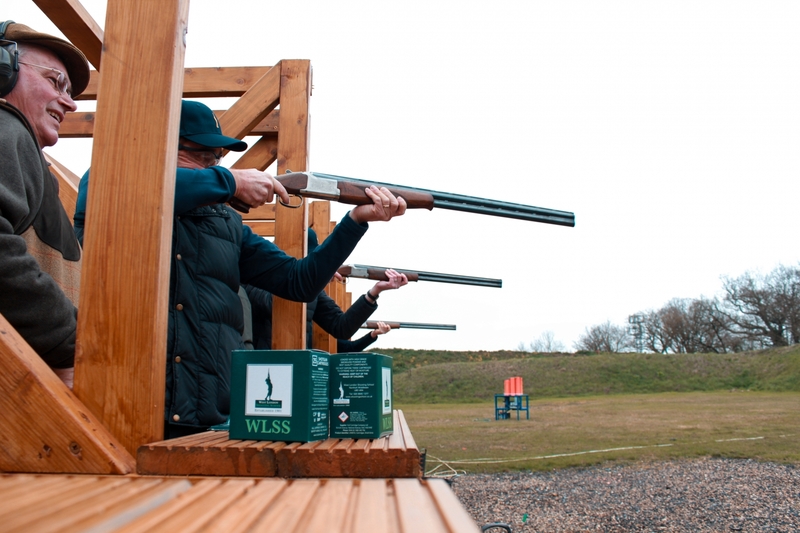 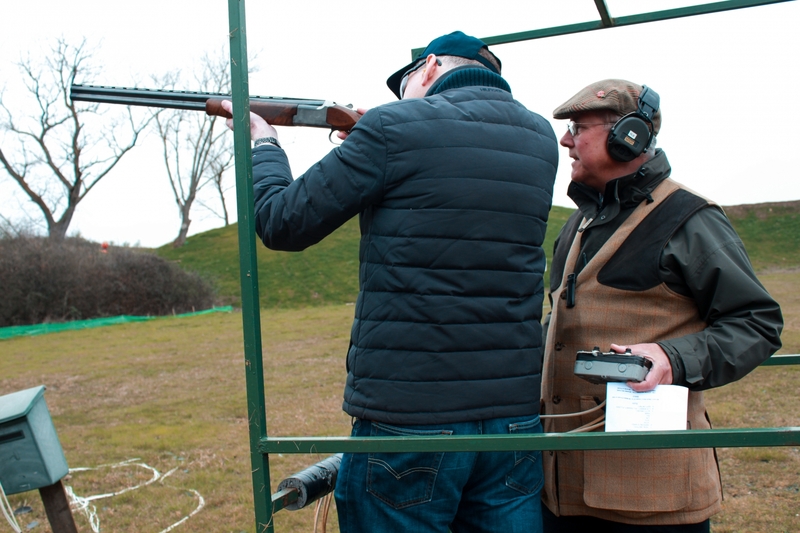 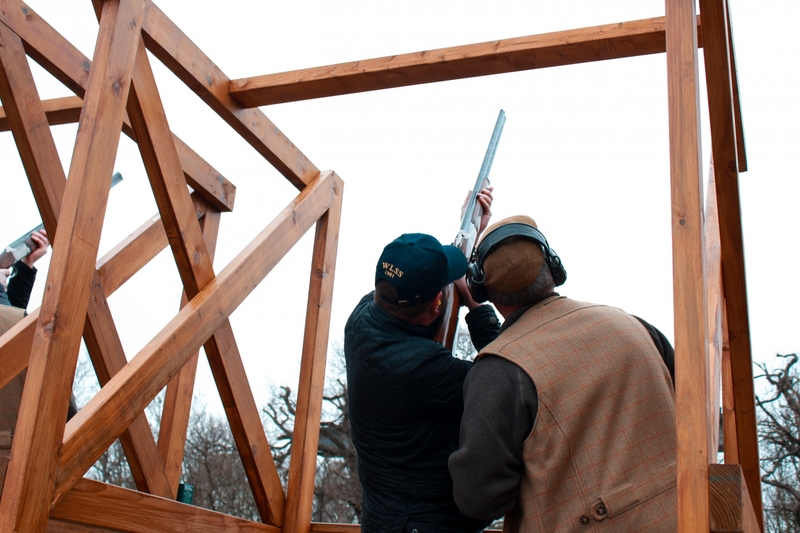 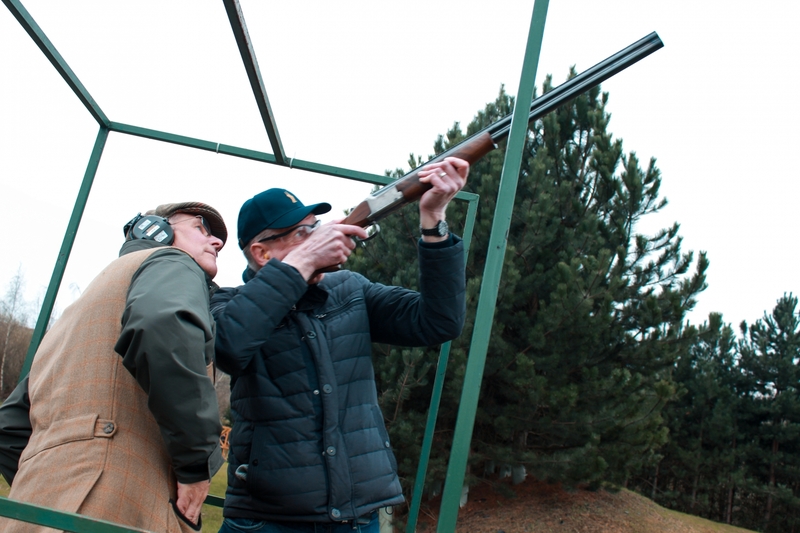 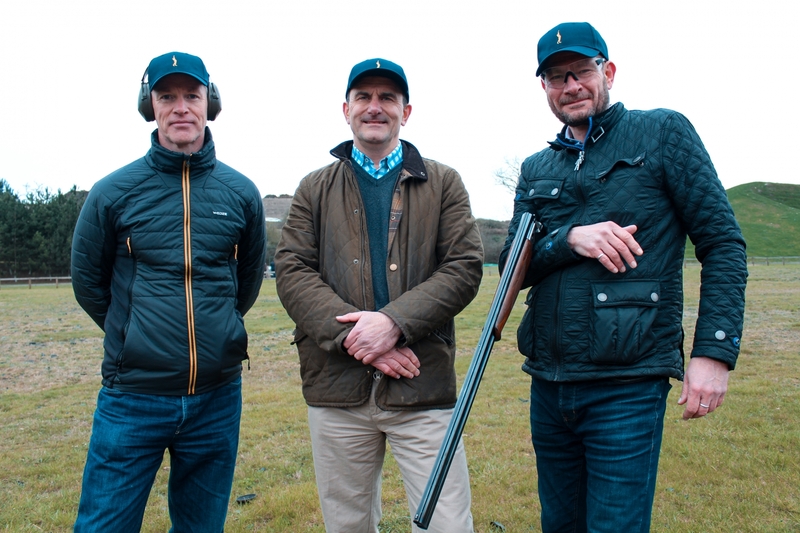 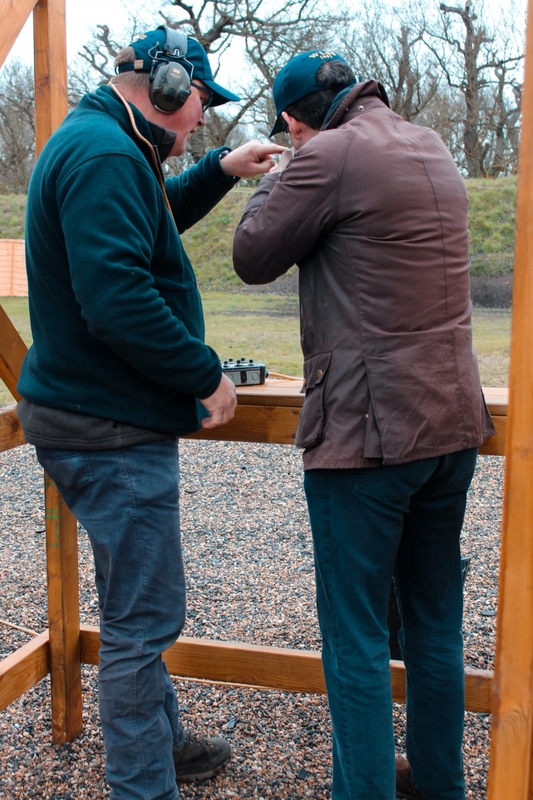 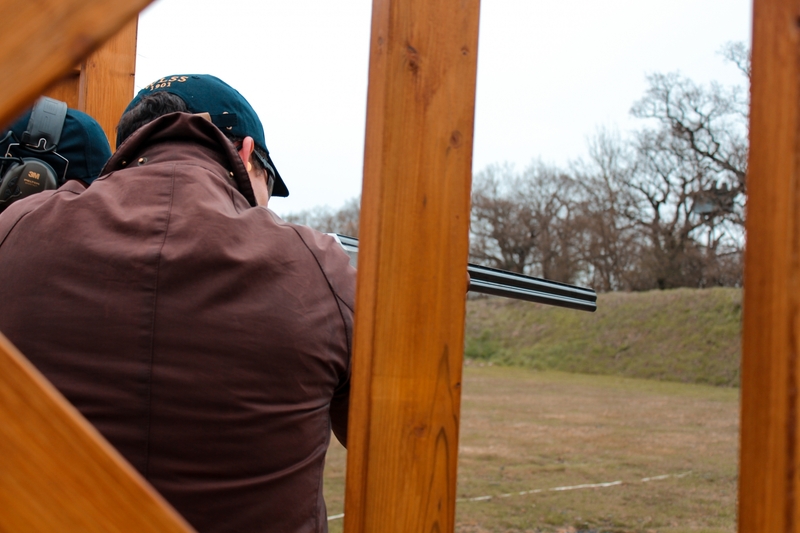 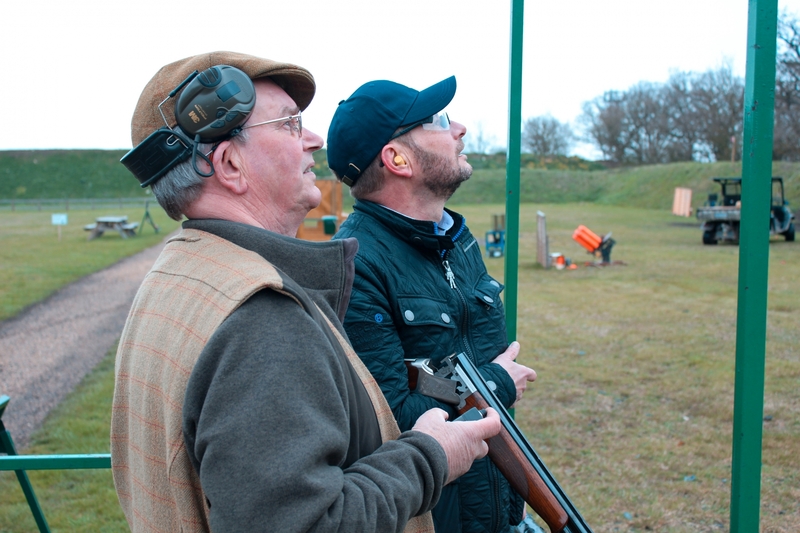 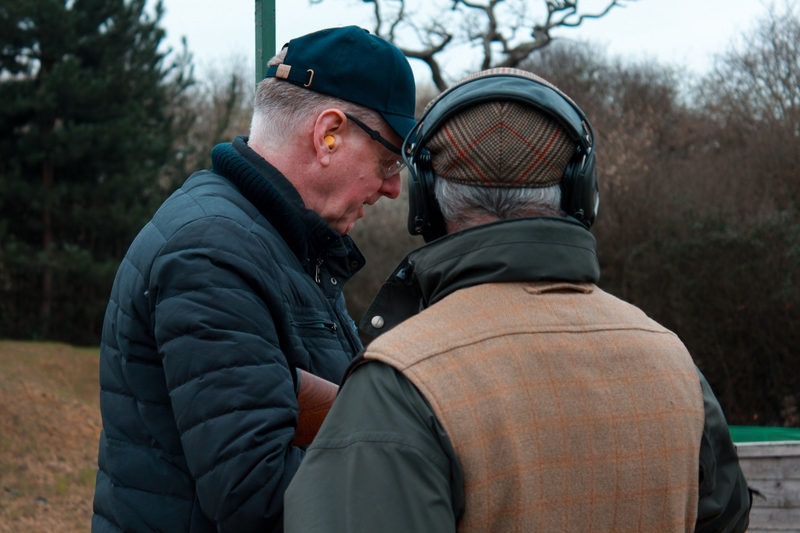 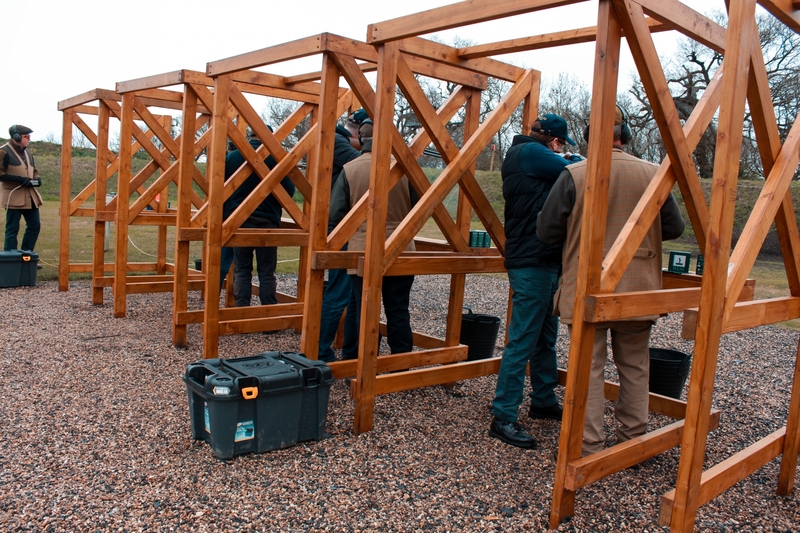 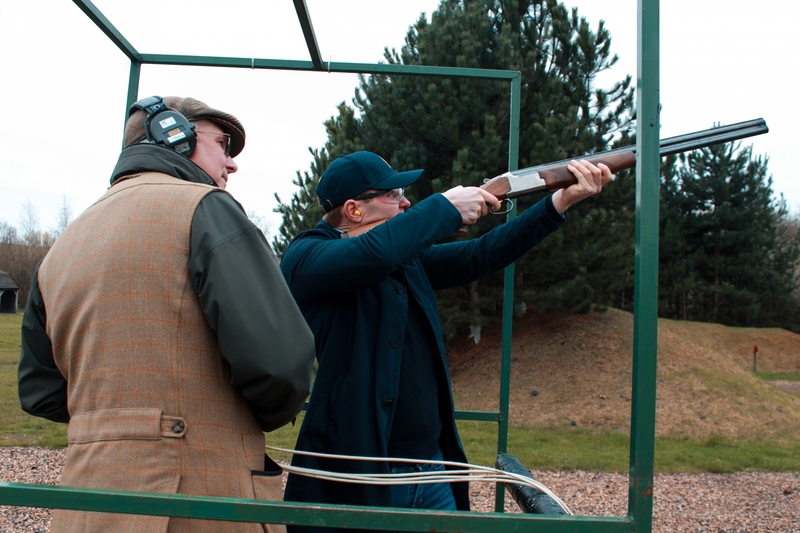 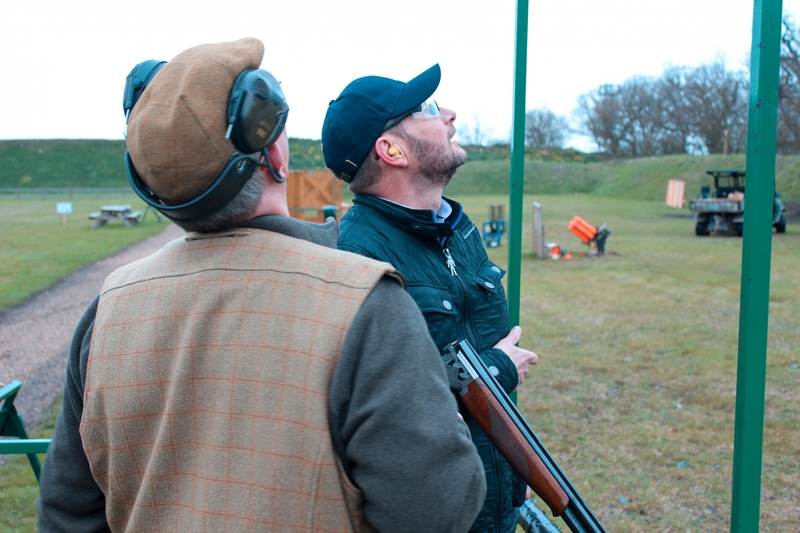 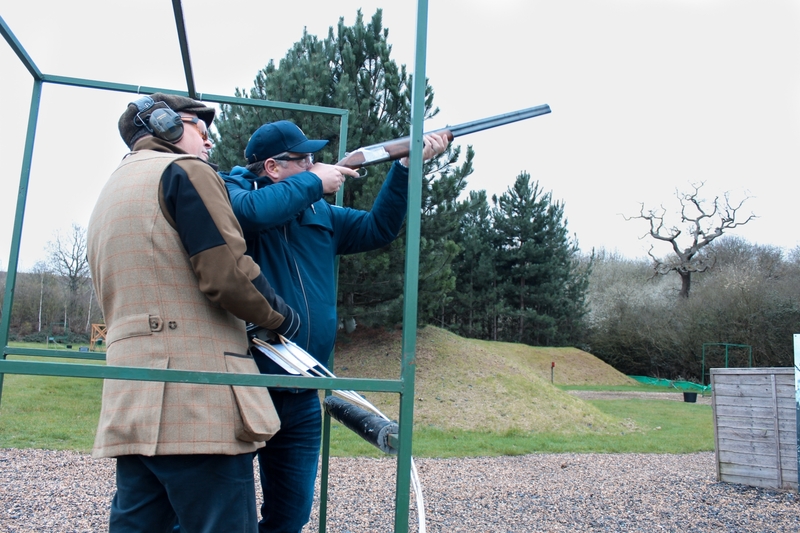 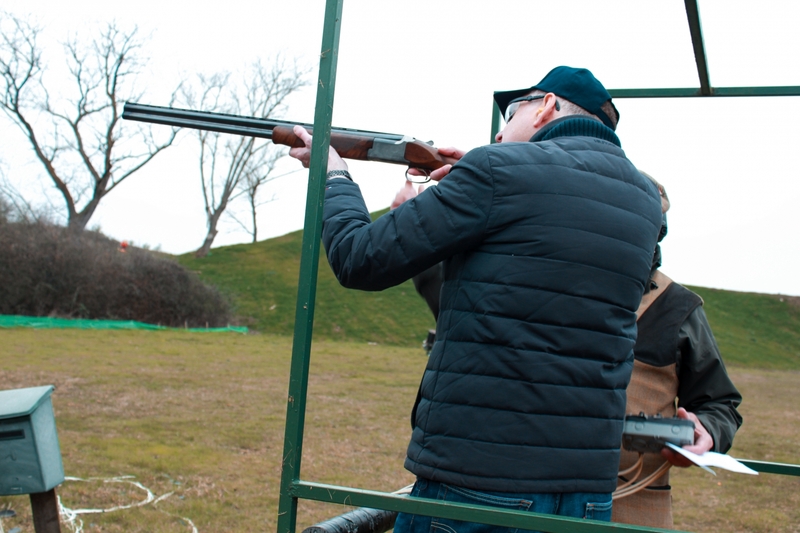 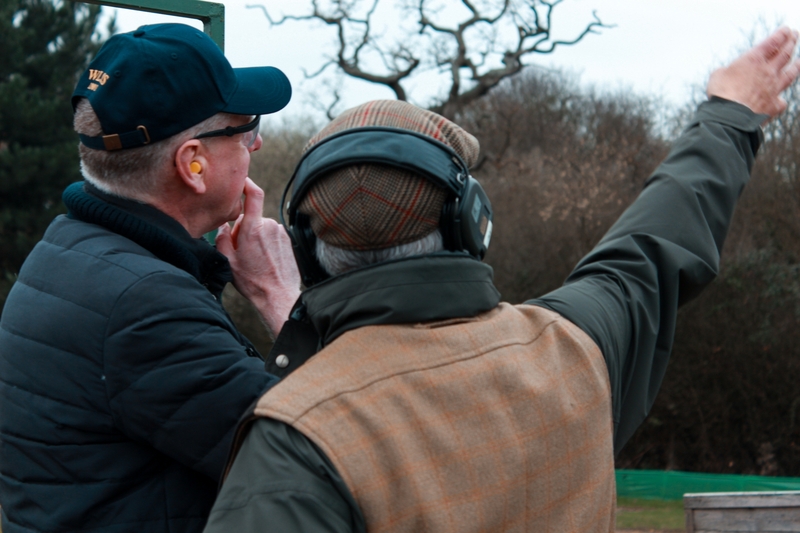 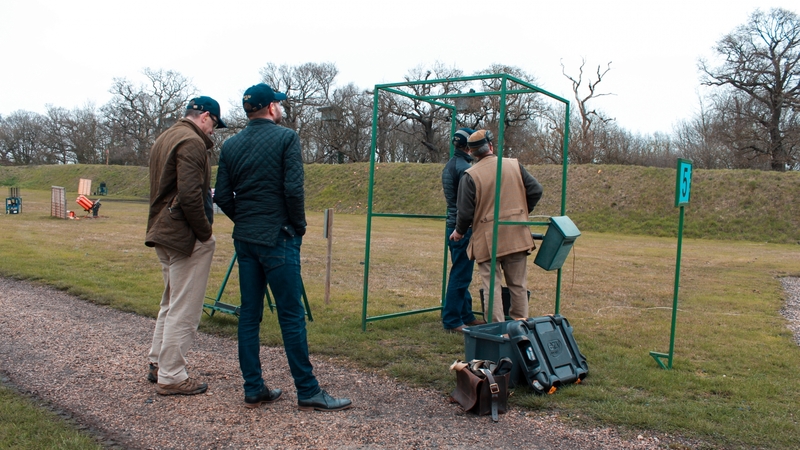 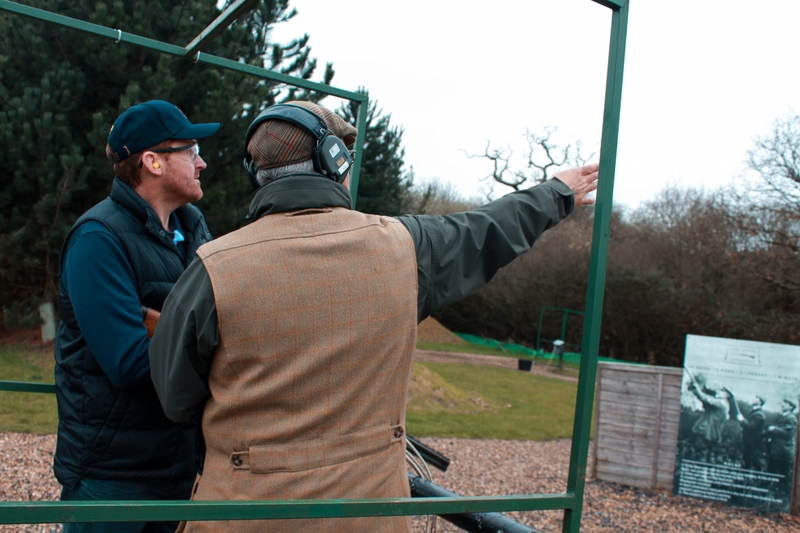 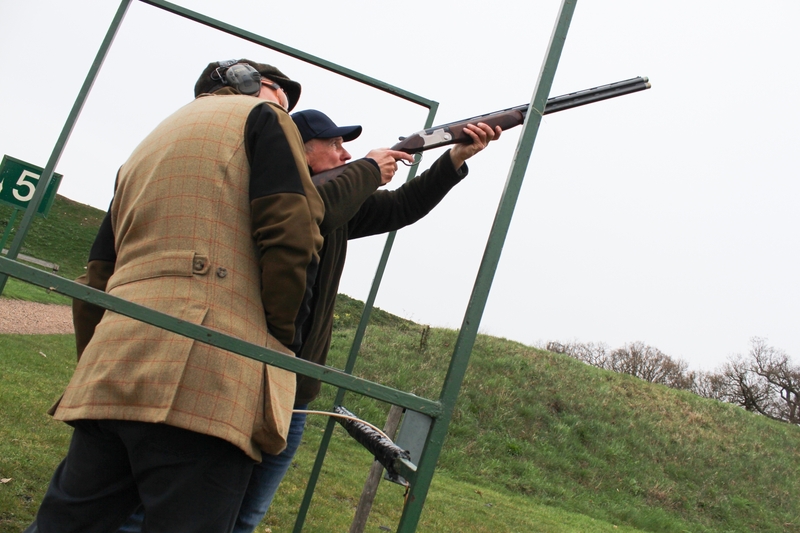 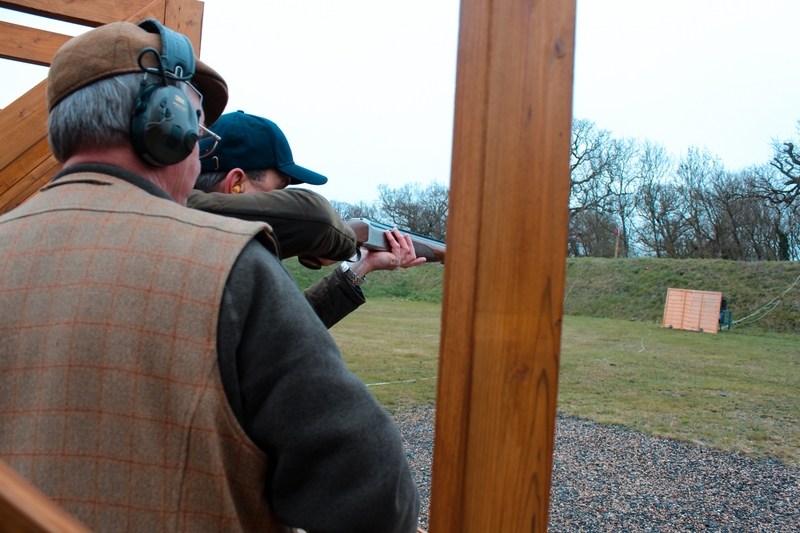 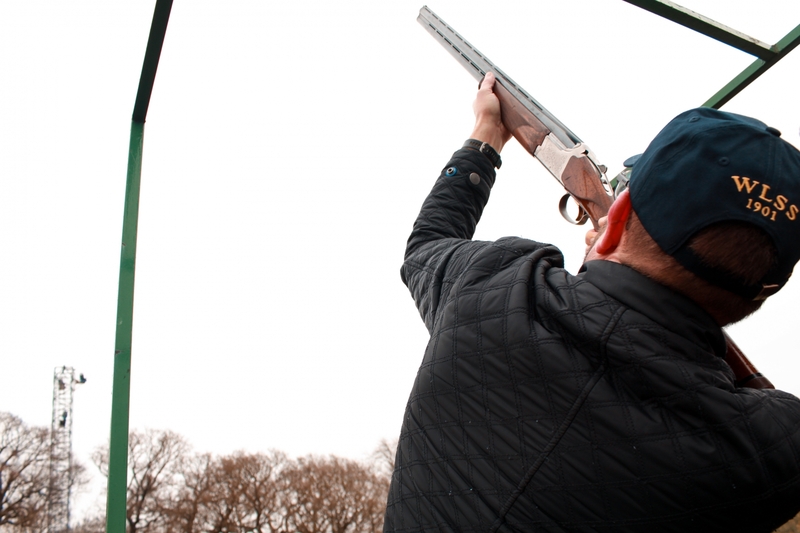 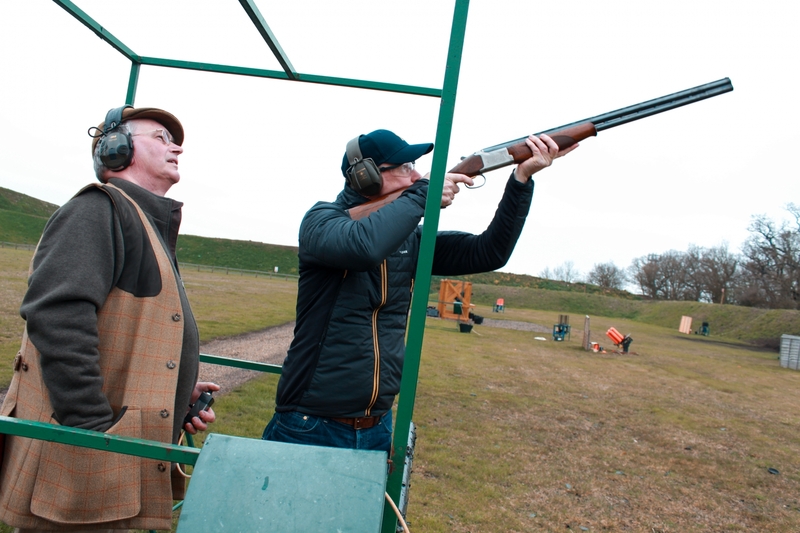 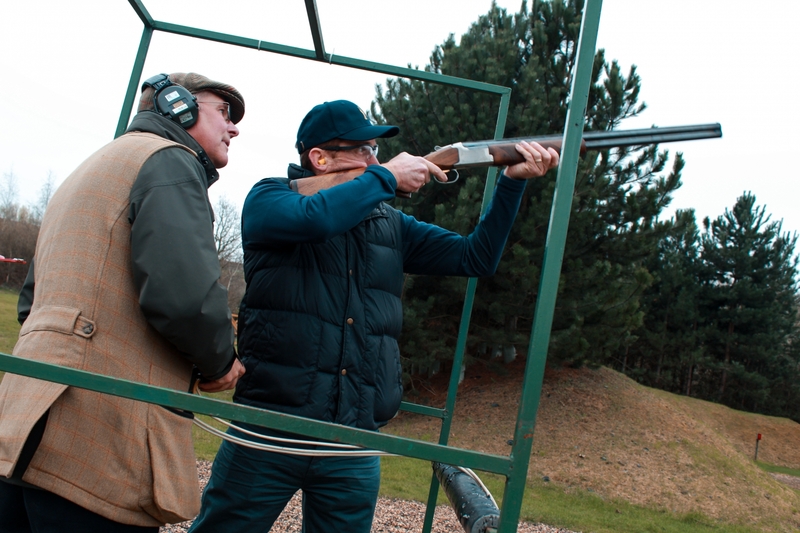 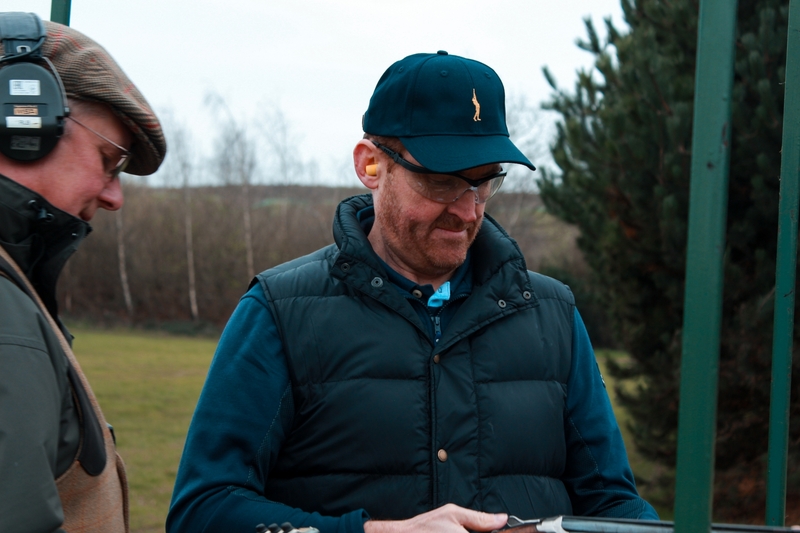 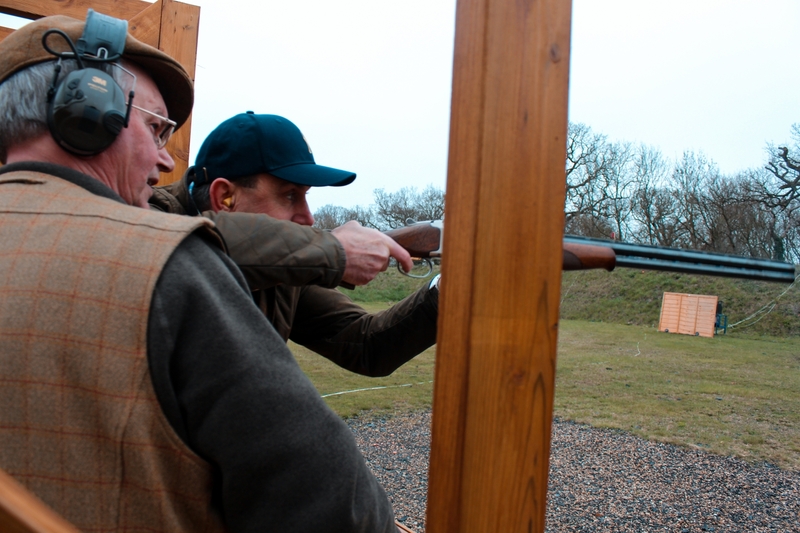 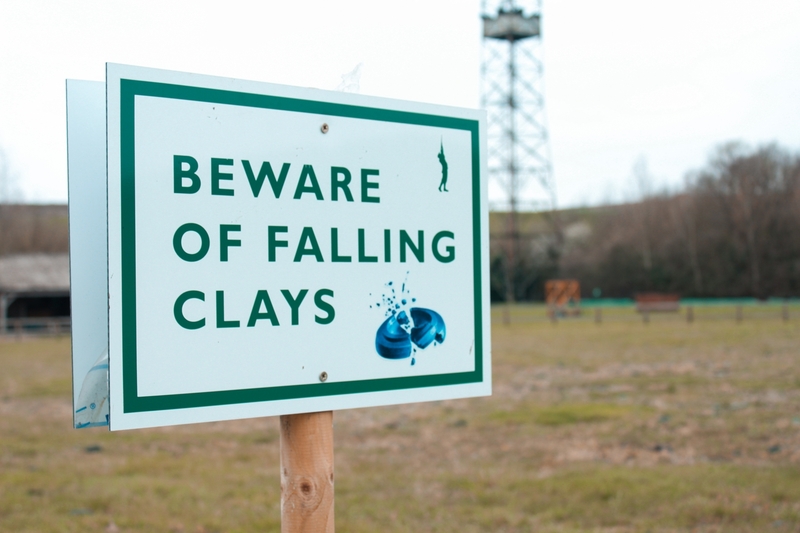 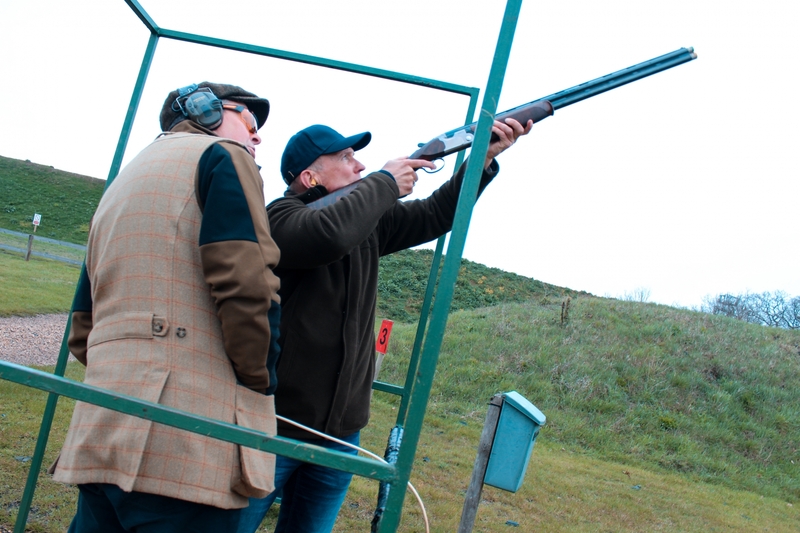 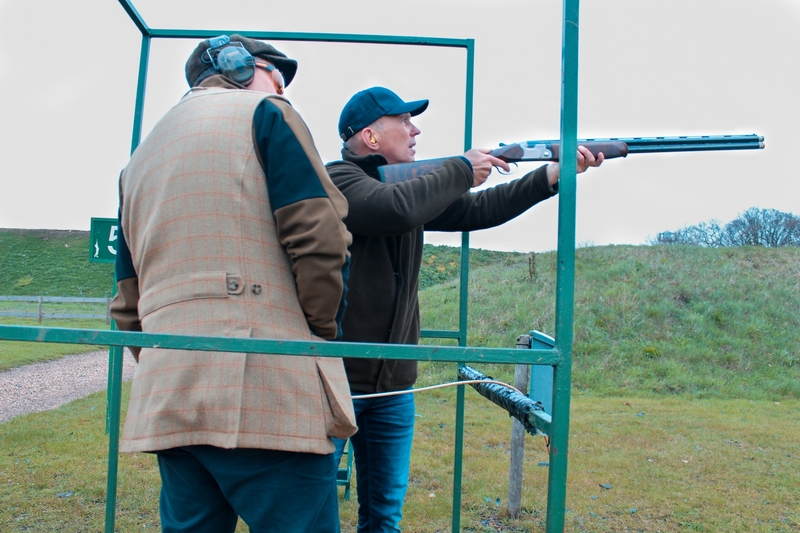 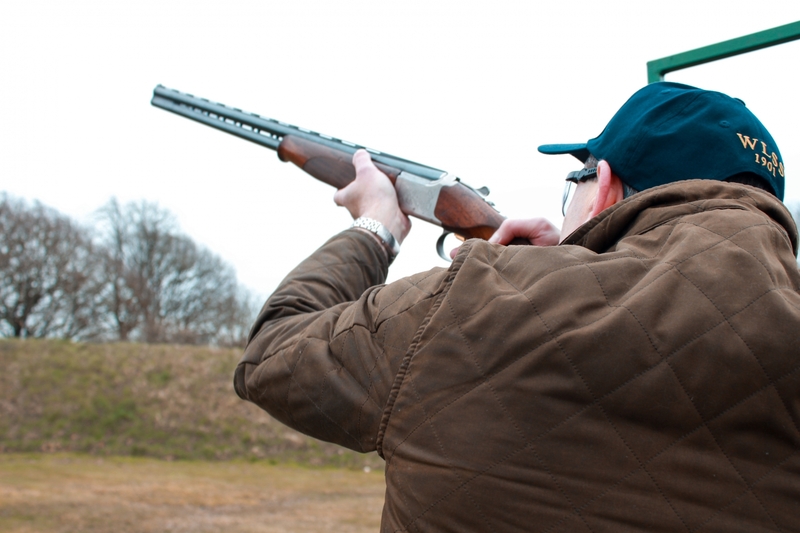 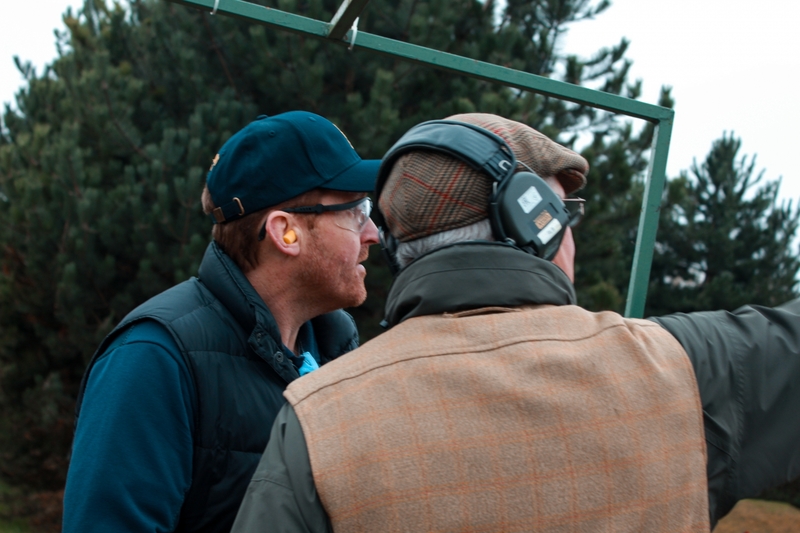 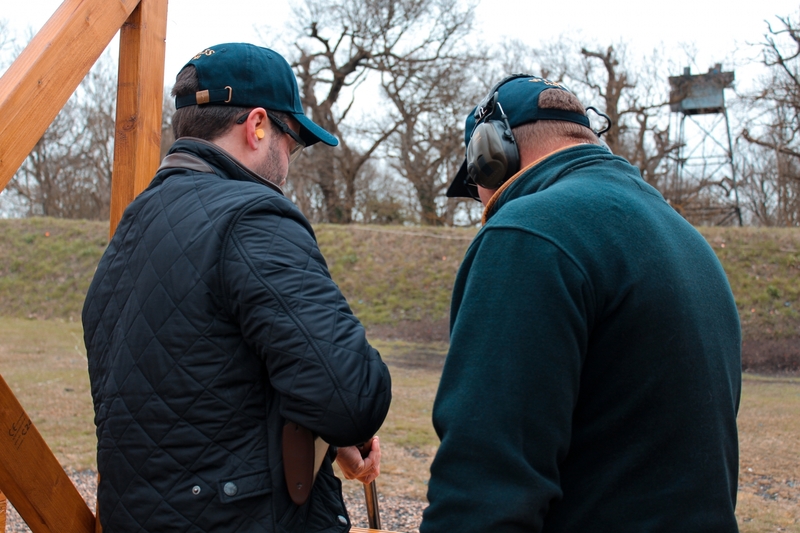 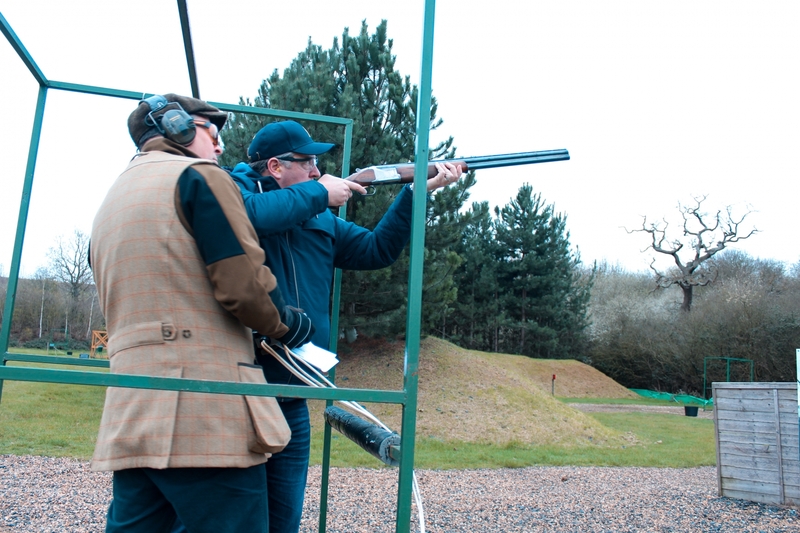 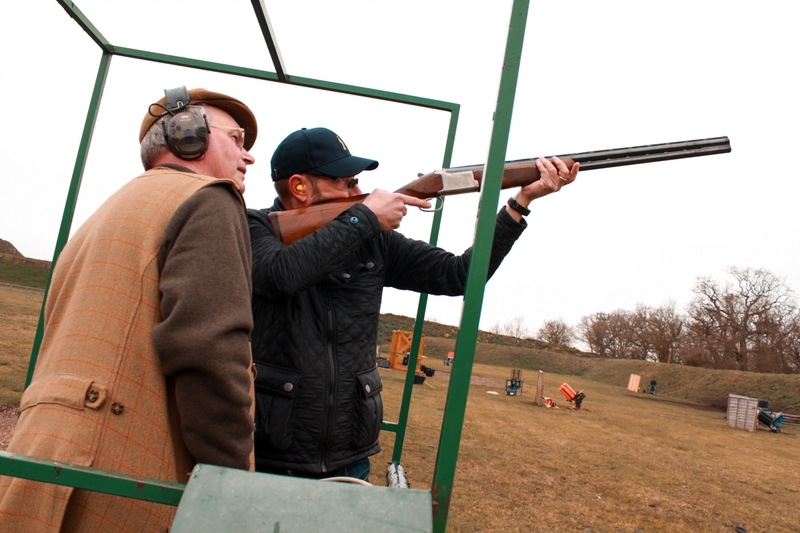 After the success of our first clay pigeon shoot last month expectations were high for our second. 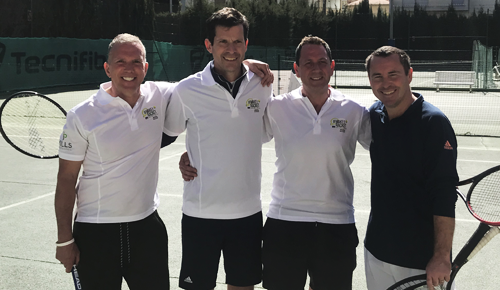 If the promise of a full English breakfast wasn’t enough motivation to get you out of bed, the prospect of beating your colleagues in some compettive sport definately did the trick . 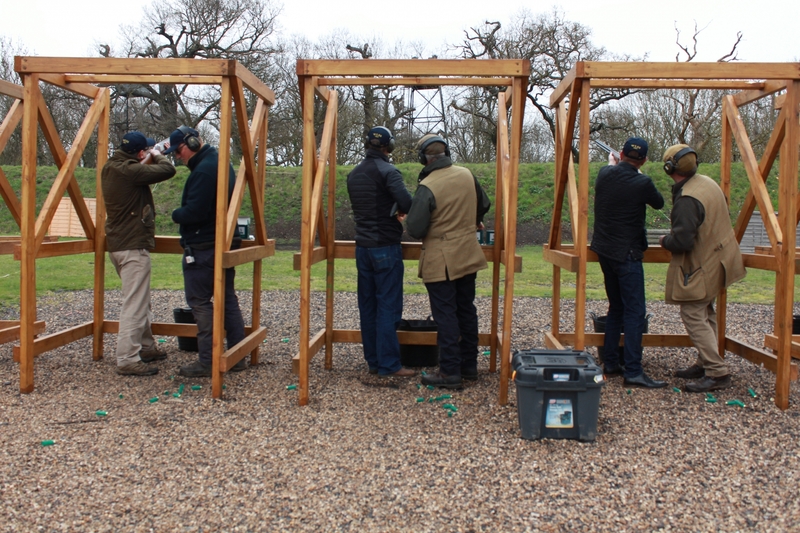 The format remained the same, twelve competitors battling it out to win the title of Top Gun while also working together in teams for the Flush event. 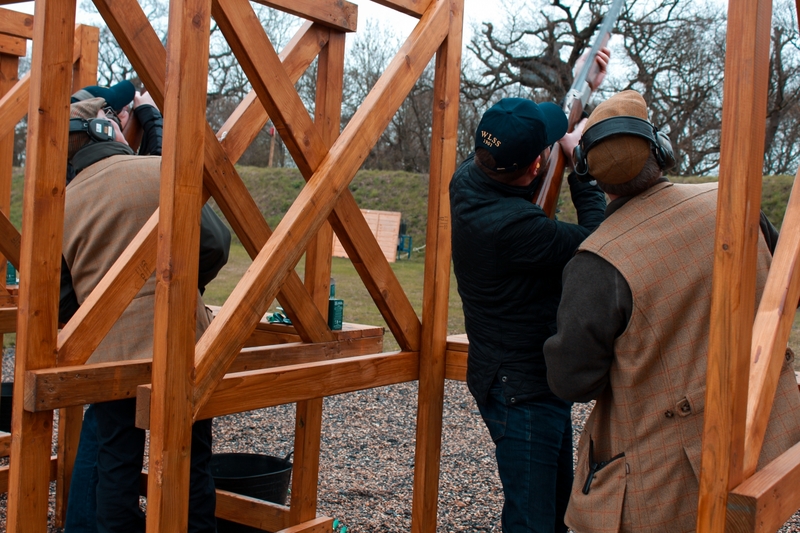 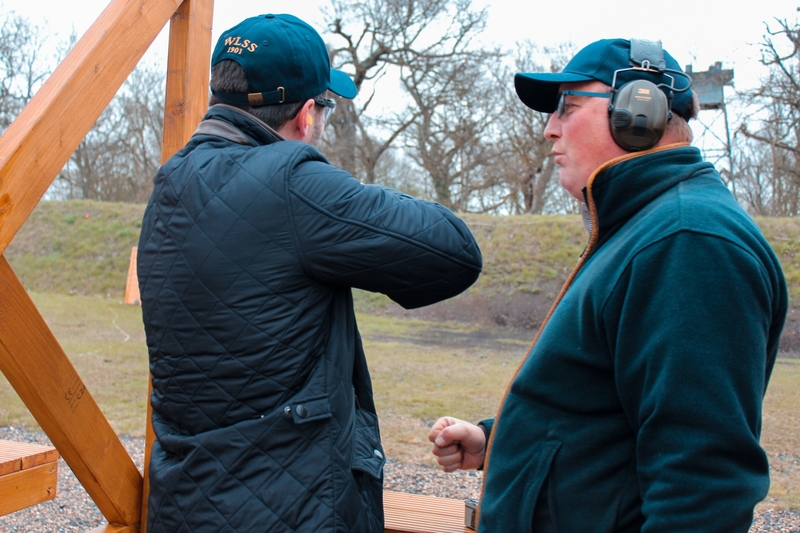 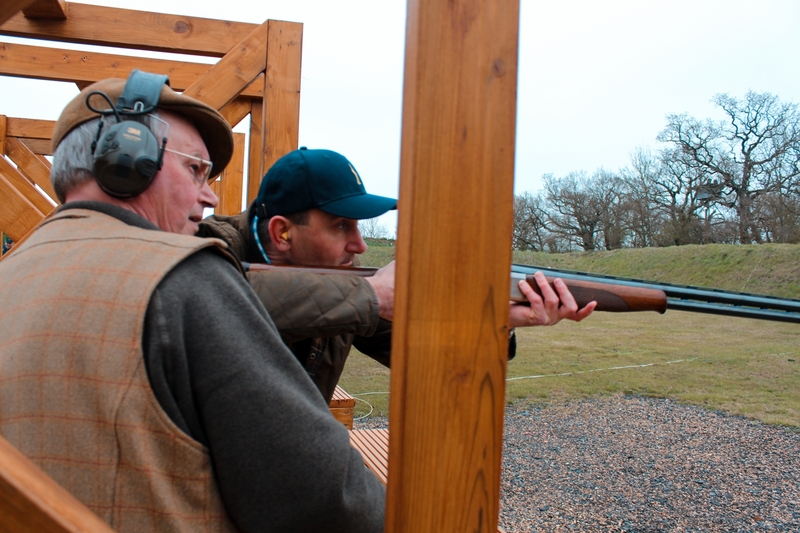 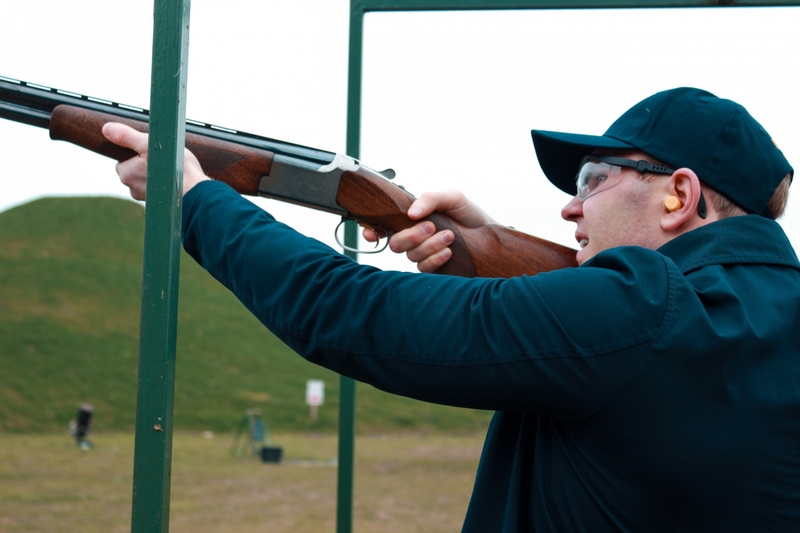 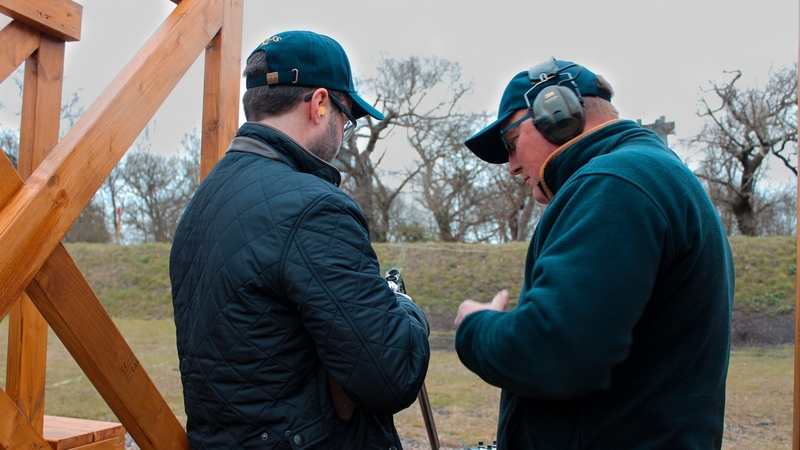 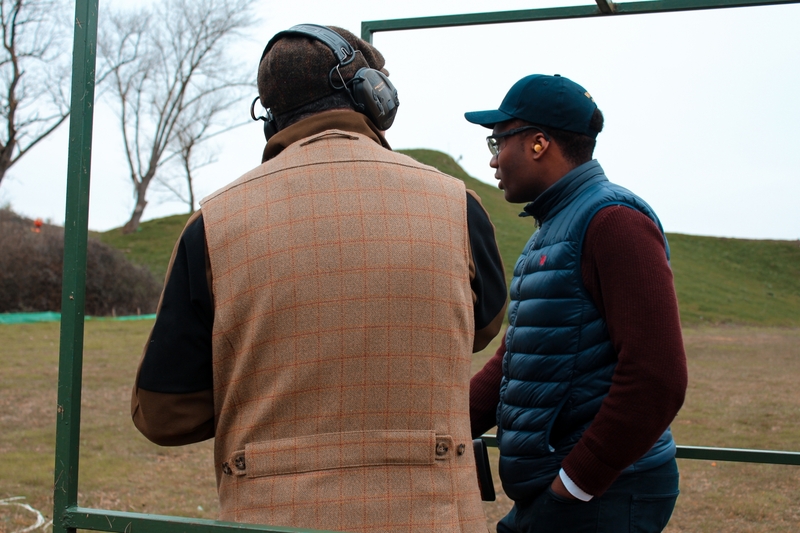 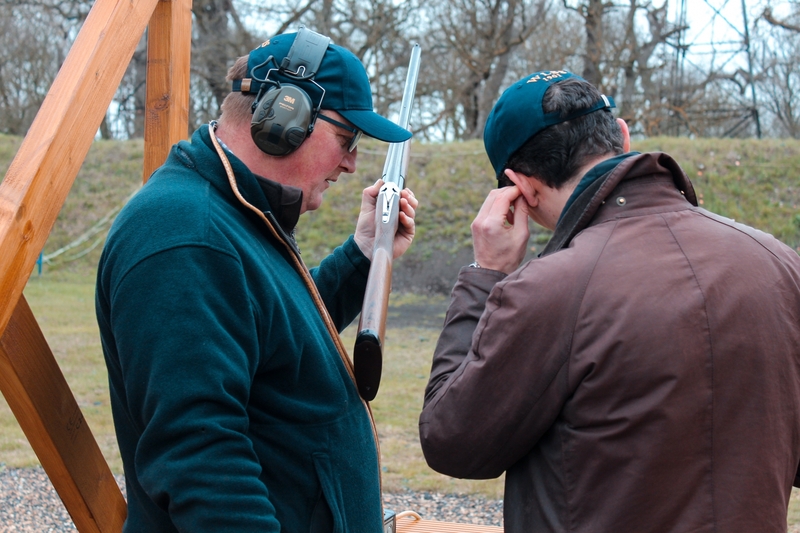 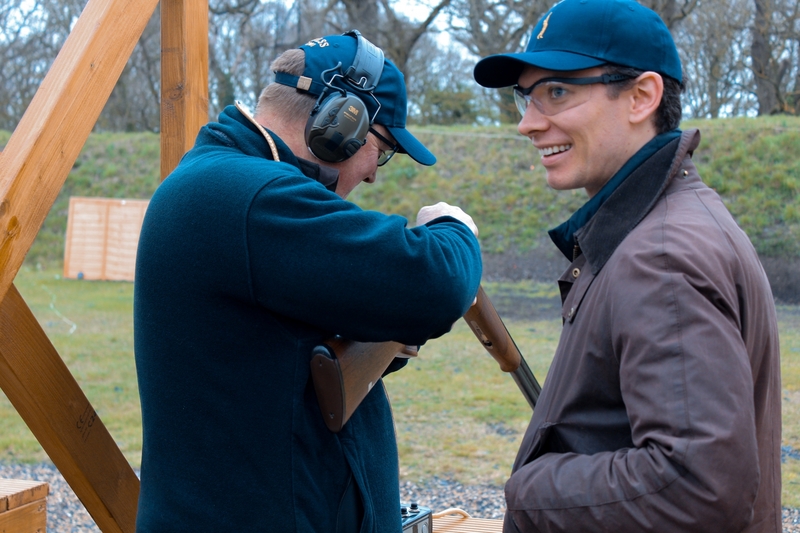 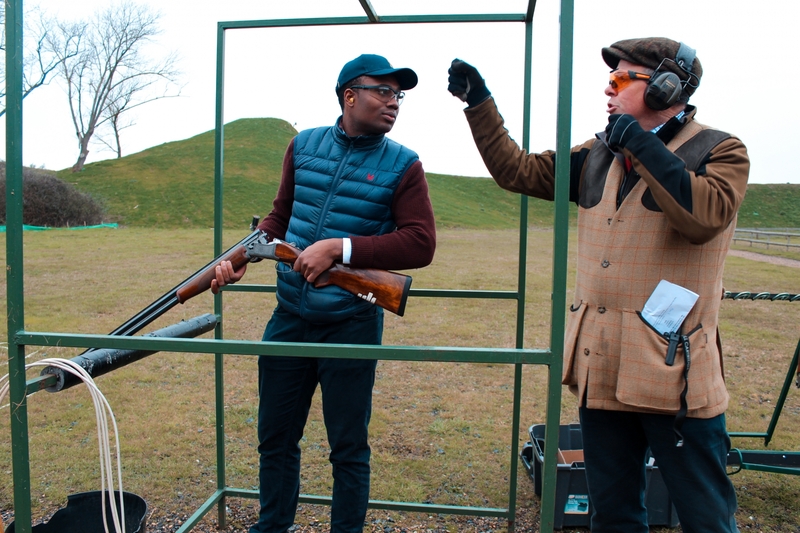 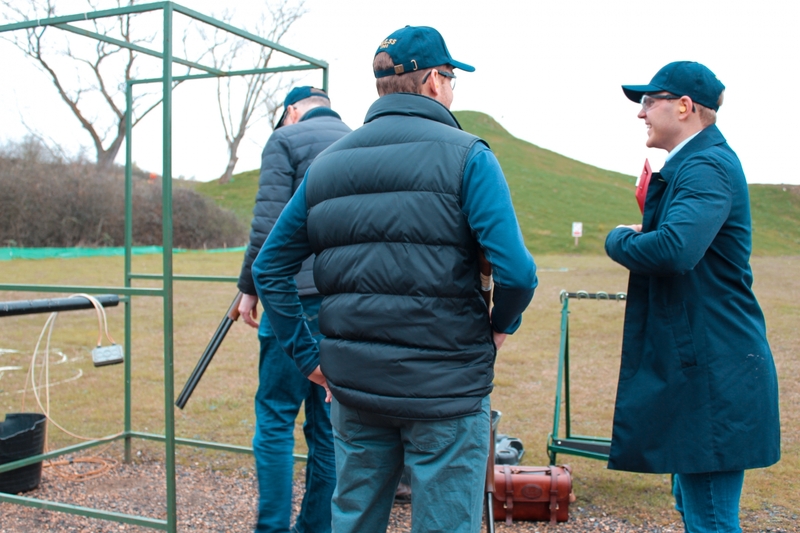 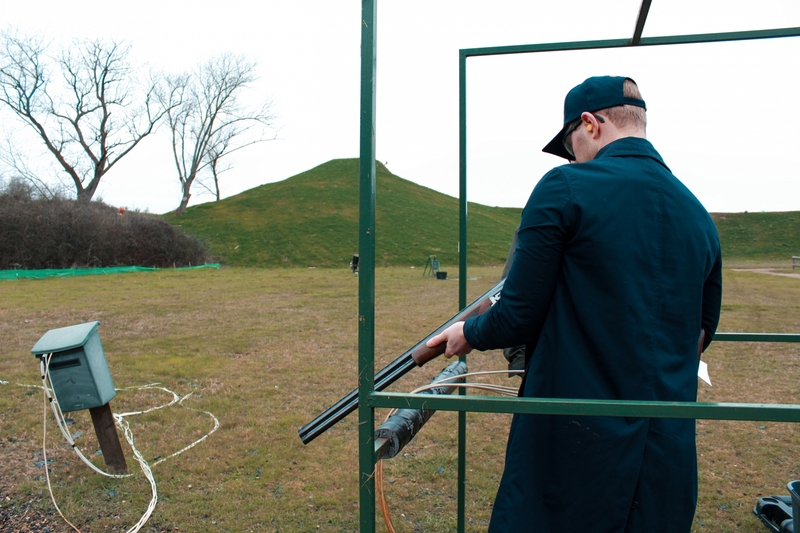 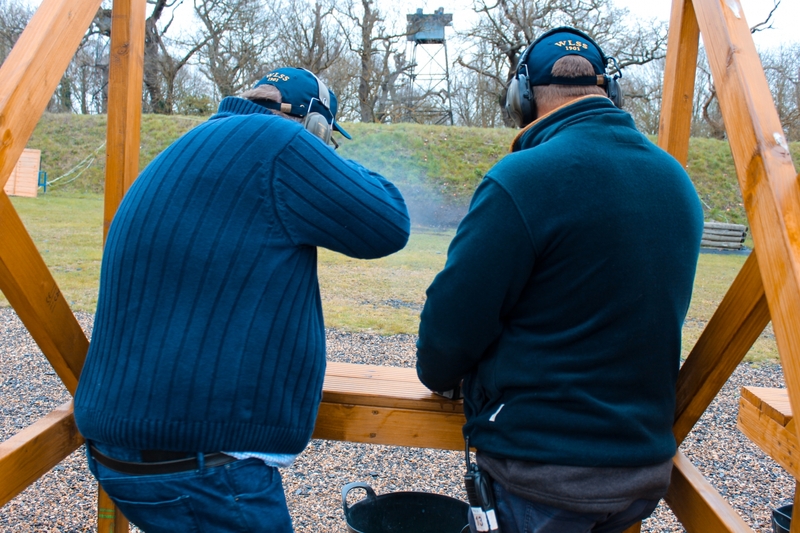 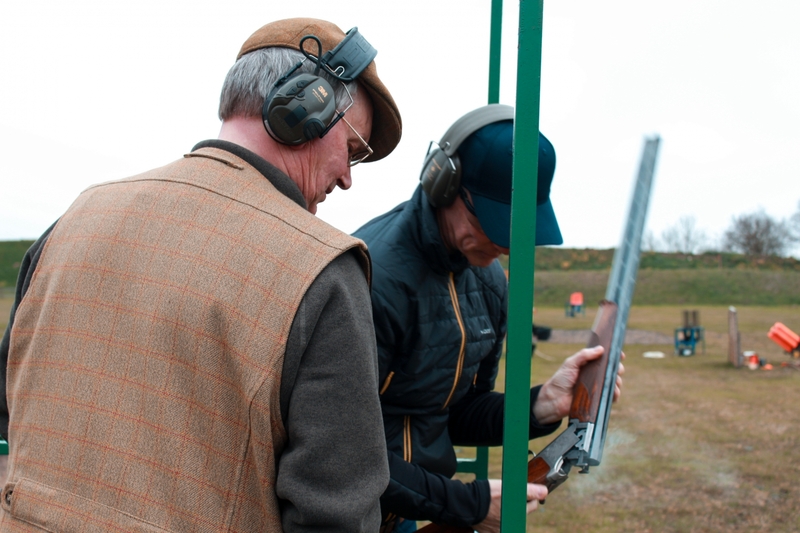 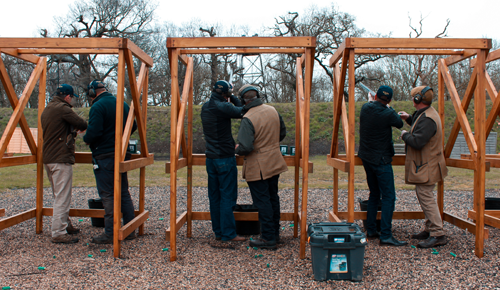 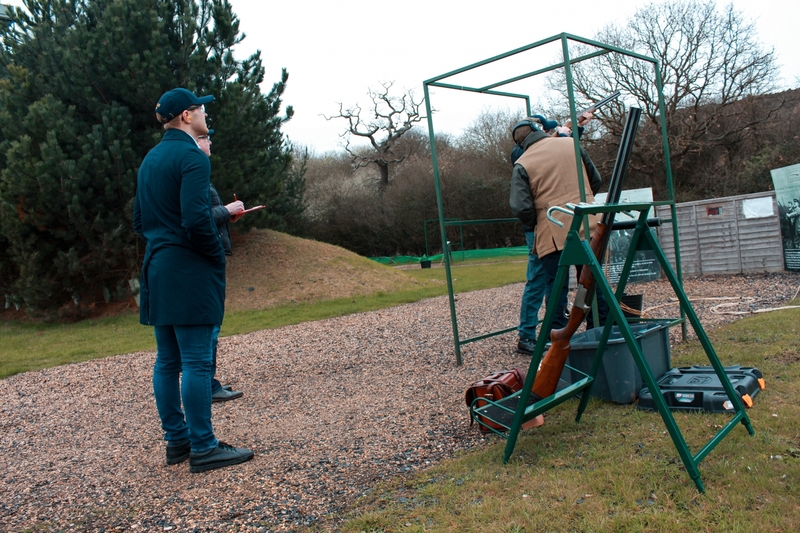 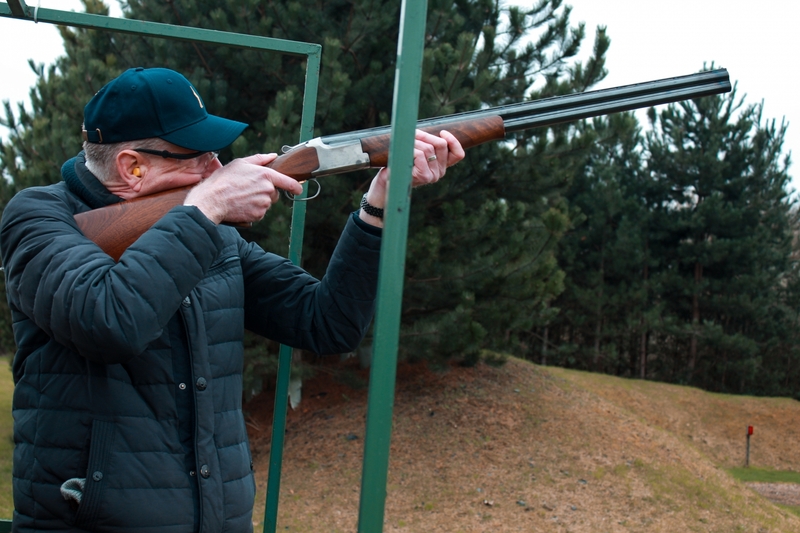 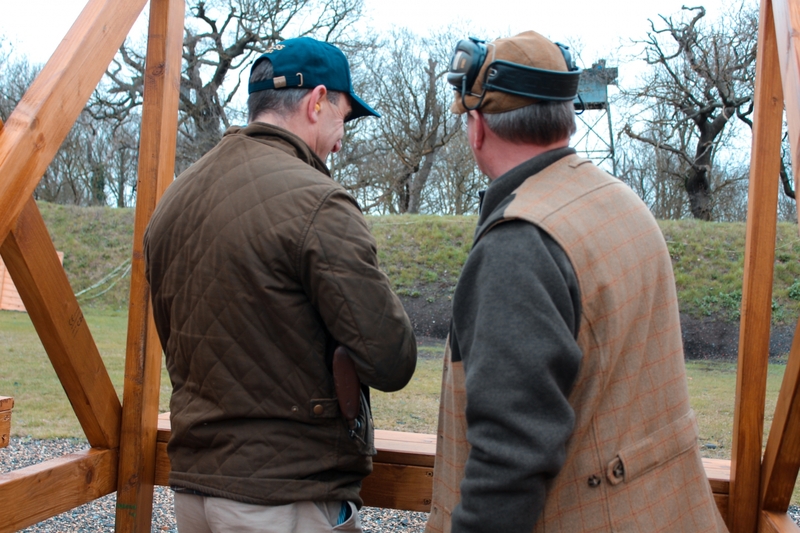 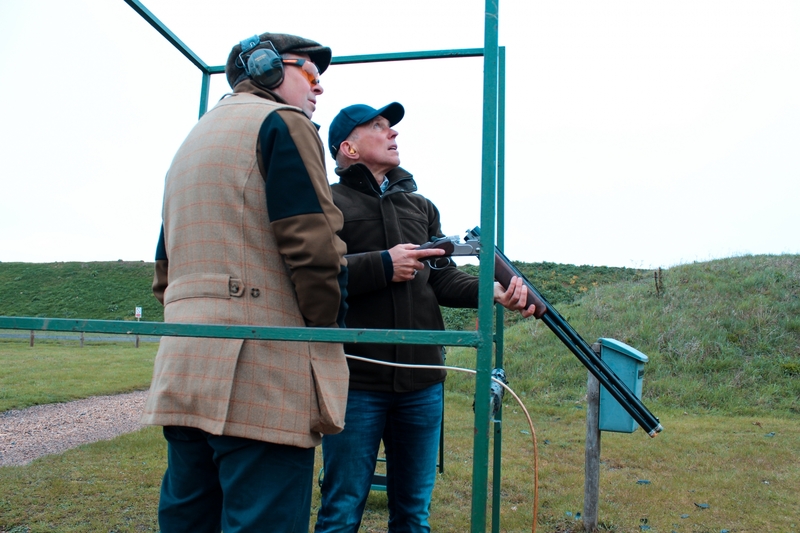 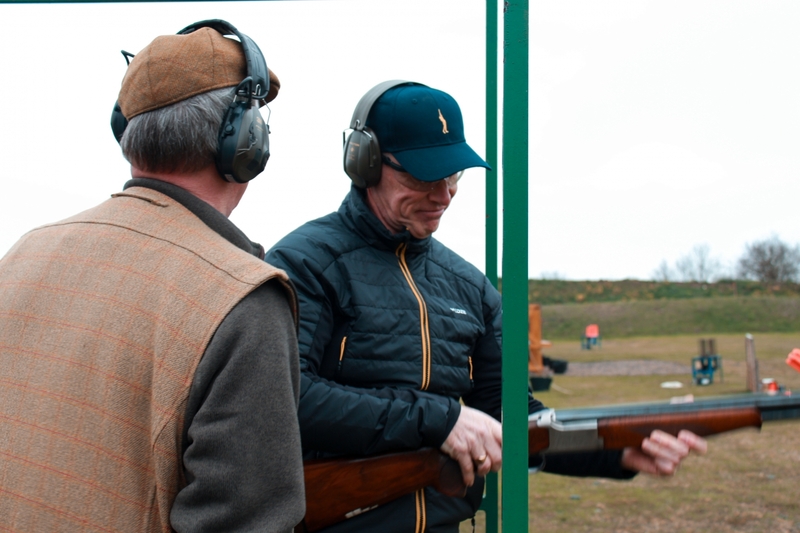 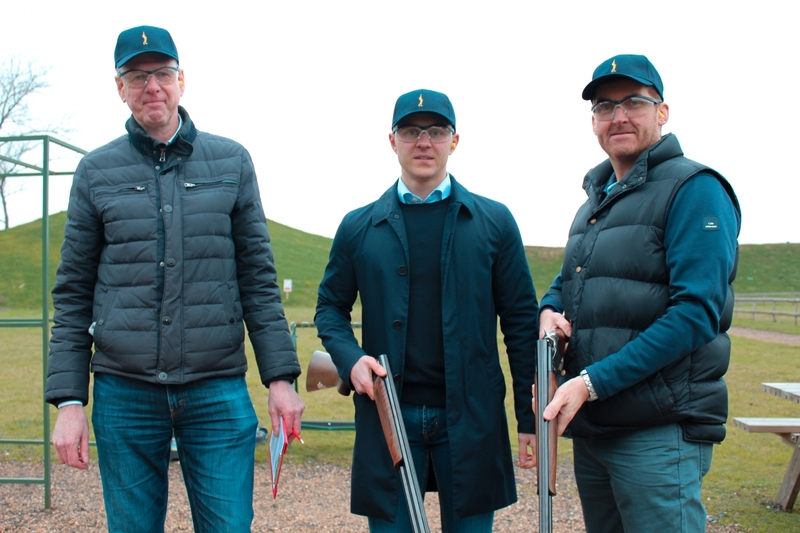 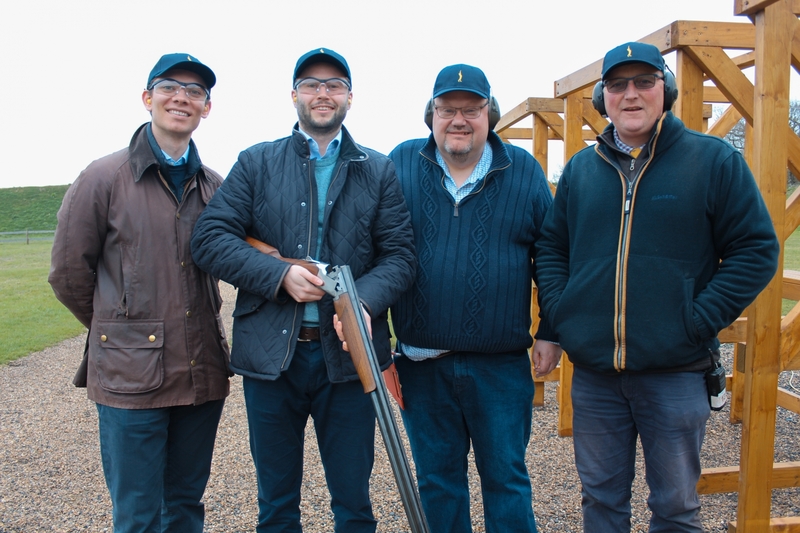 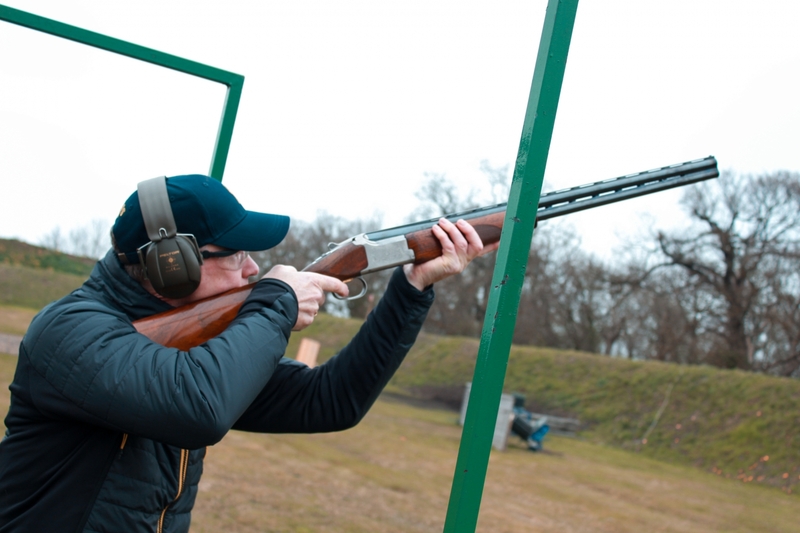 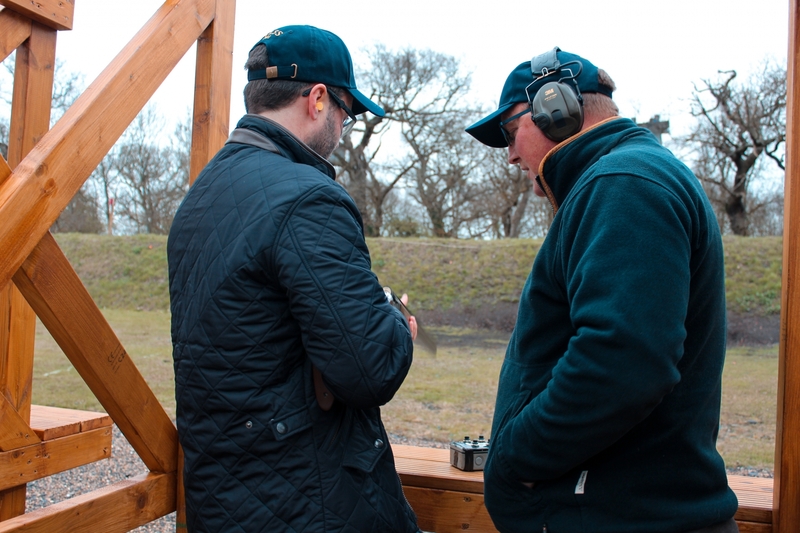 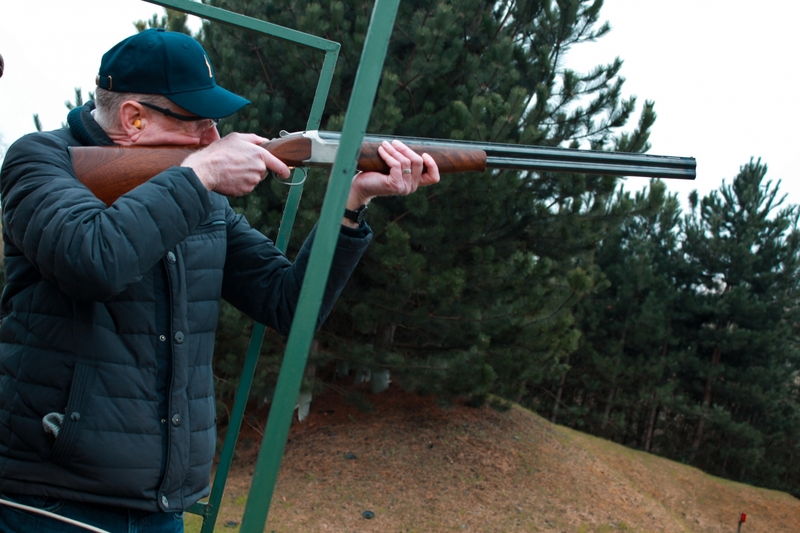 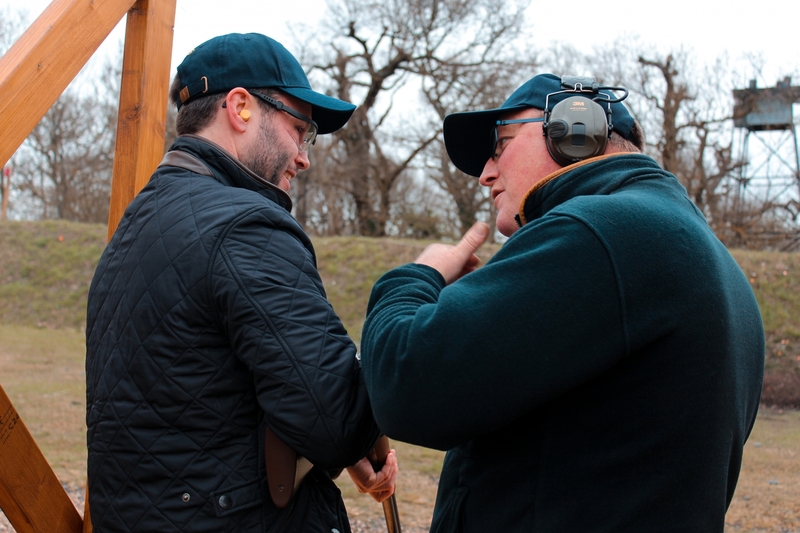 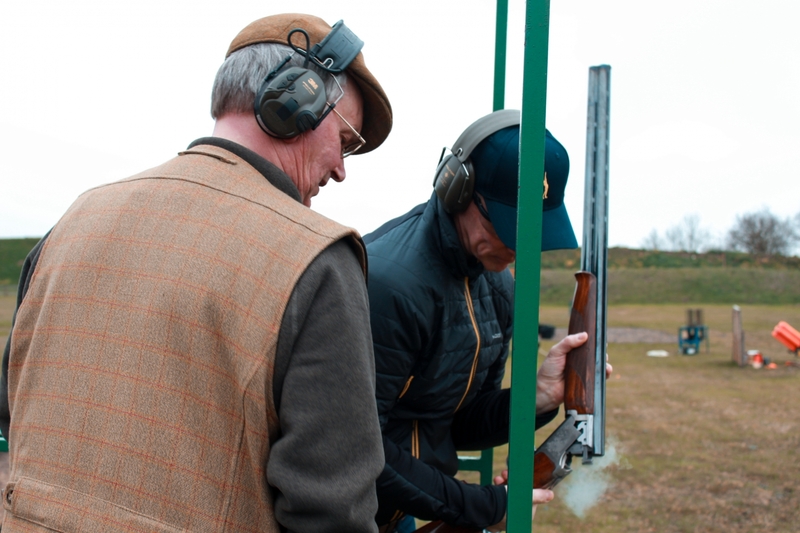 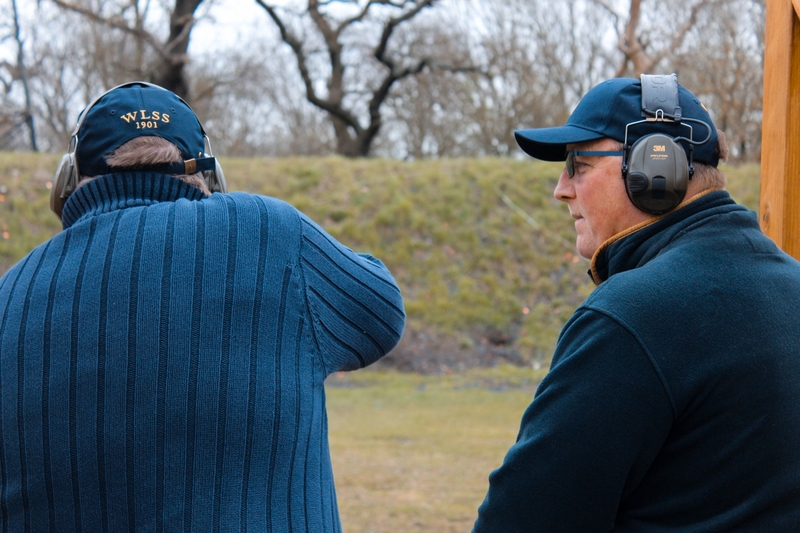 Andrew Shaw (Jurys Inn) took home the Top Gun title with an impressive shoot of 42/50. 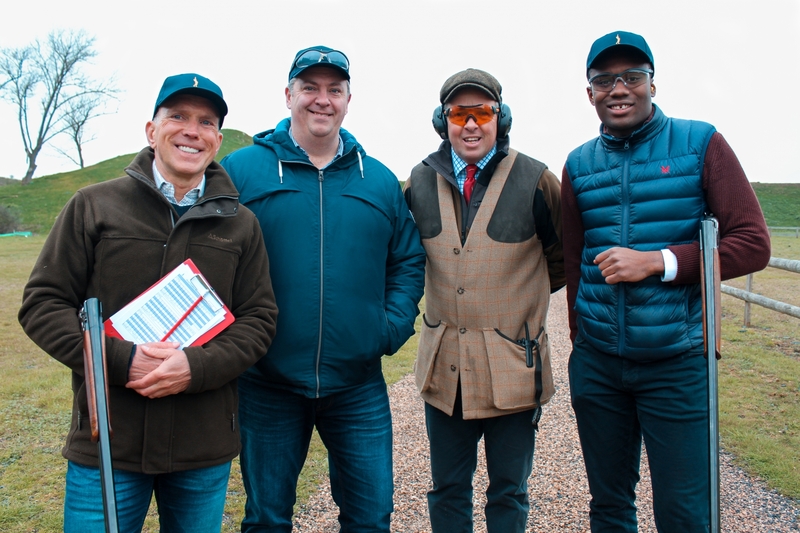 The Flush was won by the team captained by Paul Nash (Jansons Property) alongside Top Gun Andrew Shaw and Jim Allman (Boulter Bossman) . 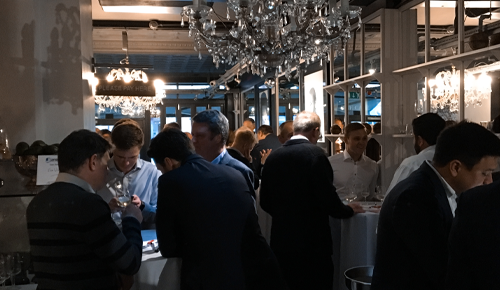 Those who are courageous enough to take on a career in the property market know MIPIM Cannes as the world’s leading property exhibition. 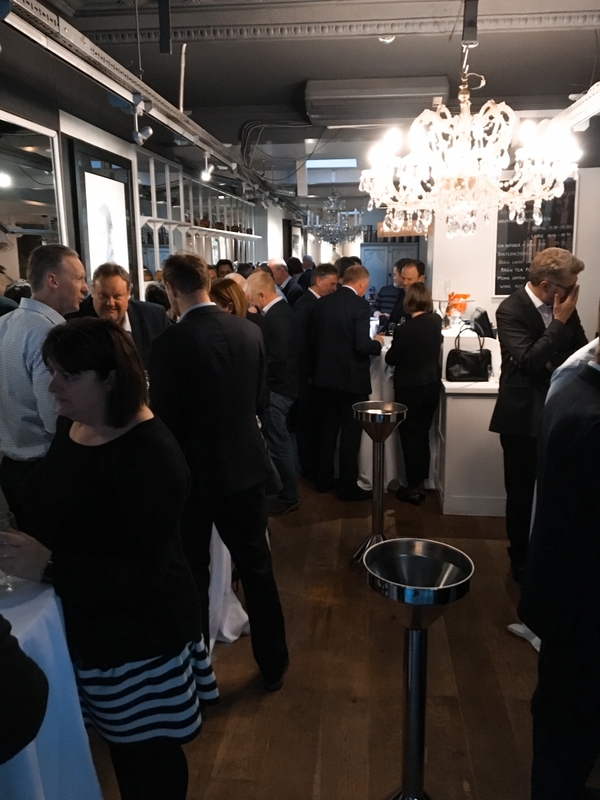 Judging from all the social media posts covering the event one might better describe the event as the epicentre of the international property industry. 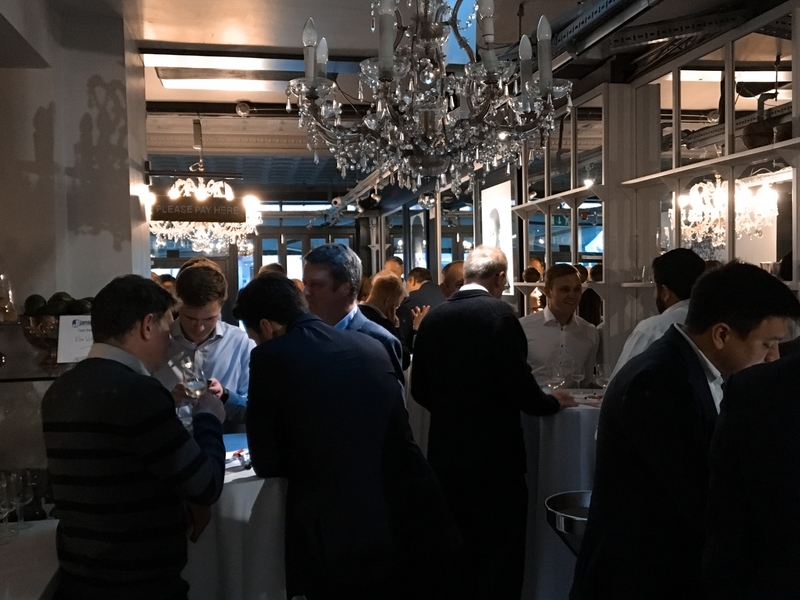 What other occasions would you find thousands of industry investors, architects and professionals converging in one location. 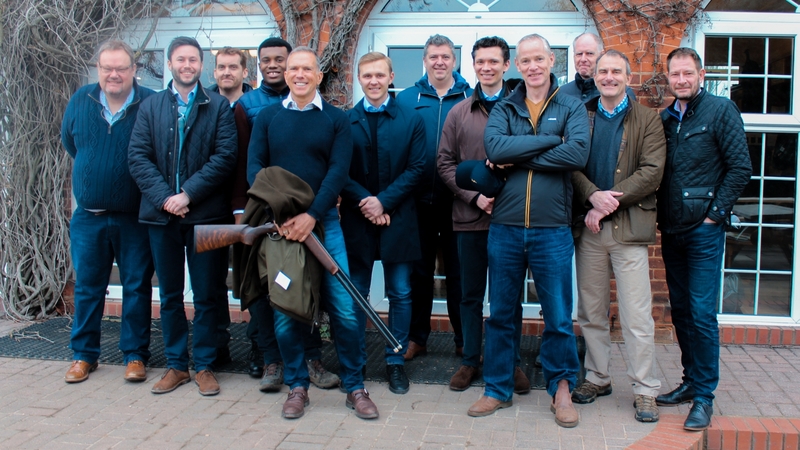 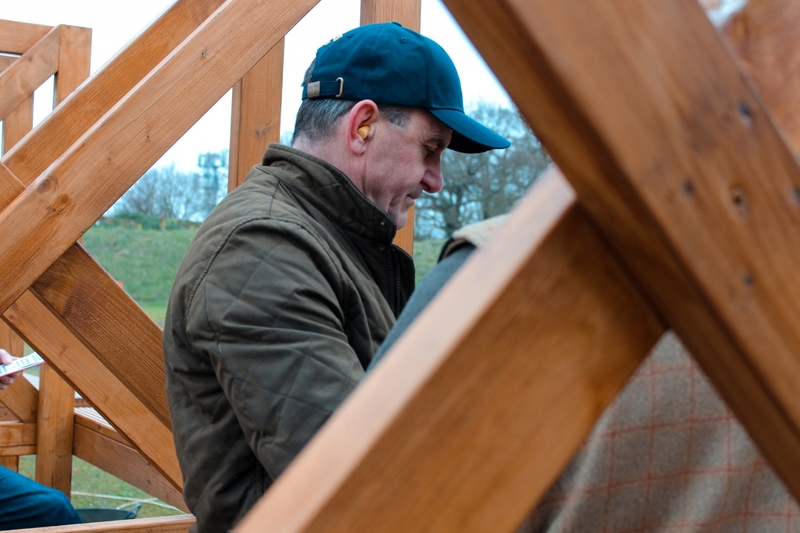 Amongst those investor/developer types was Jansons Property’s Managing Director Andy Jansons. 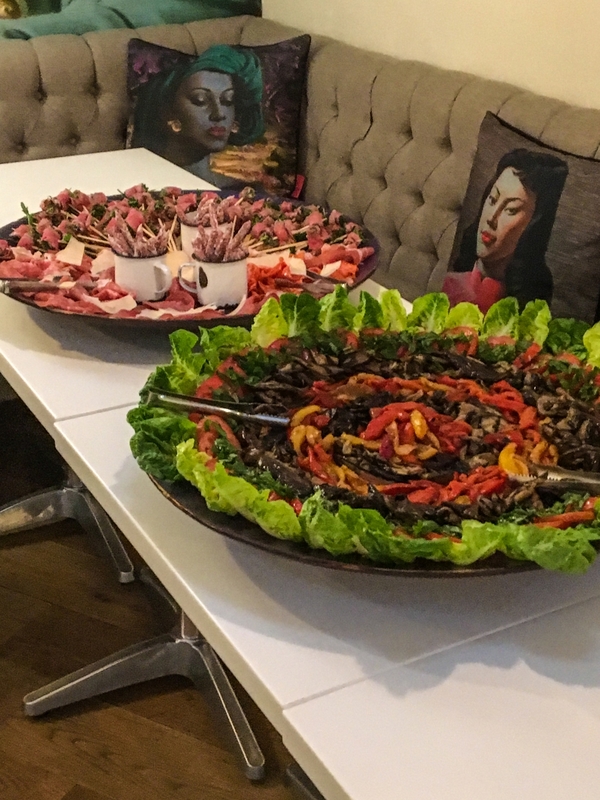 Since we are currently acquiring mixed-use, strategic land as well as income producing assets with development potential. 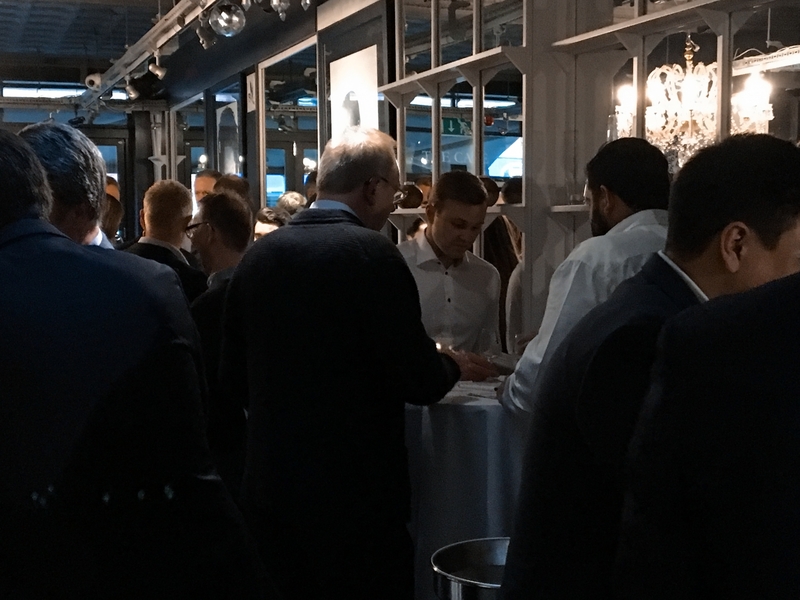 MIPIM offered an opportunity for Andy to meet a plethora of interesting individuals with those land offers as well as interesting perspectives on the UK market and post-brexit landscape! 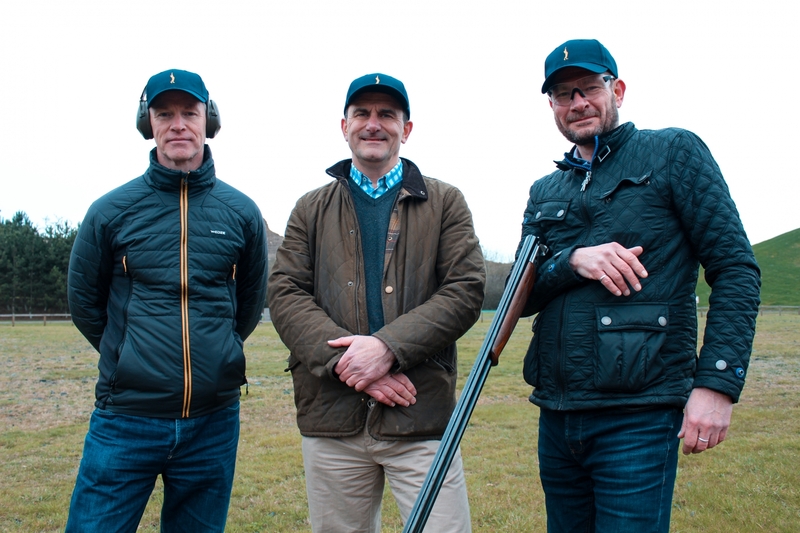 Tim Henman OBE to take on Neil and Danny Sapsford (former professional tennis player). 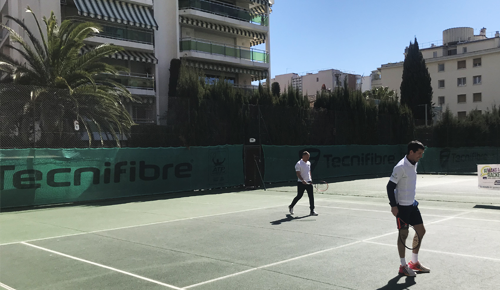 Although Andy did not bring home the tennis classic win, MIPIM sent him back with a wealth of information that can only bolster the strategies for Jansons Property in 2019. 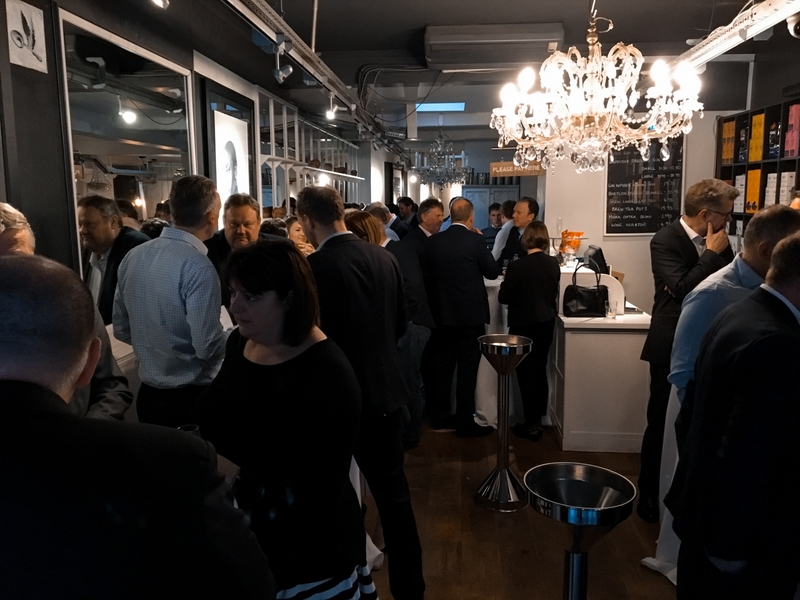 Every year MIPIM aims to facilitate business between a multitude of real estate professionals, this year was no exception.